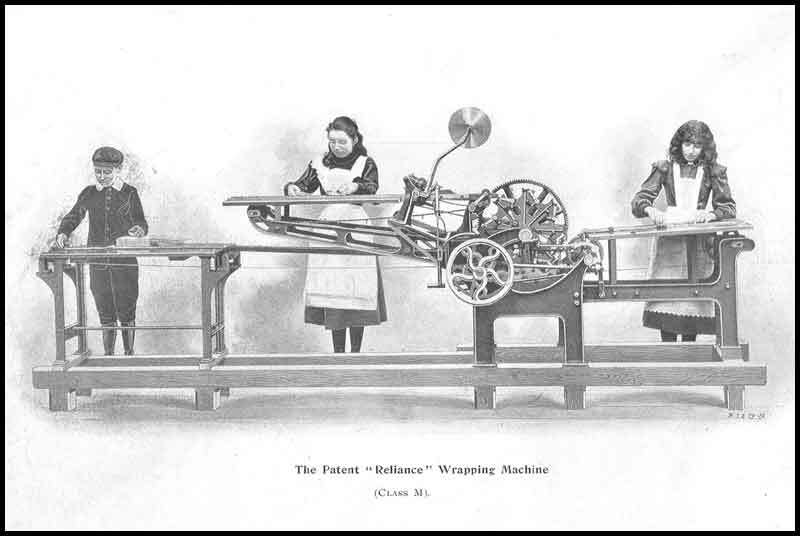 HISTORY OF ROSE BROTHERS (GAINSBOROUGH) LTD.
William Rose's original wrapping machine, for which he took out a provisional patent in 1881, was for packs of tobacco, which had hitherto been weighed and wrapped by hand. This development was looked on as something of a miracle, tobacco being the first commodity to be mechanically wrapped for sale. William Rose was something of a boy prodigy – a riveter’s assistant at the age of eleven, he then became a barber’s assistant. It was during his time in the barber’s shop that William first saw the need to sell tobacco in packets. When a customer called for tobacco, the lather-boy had to dry his hands and run to the counter to weigh it out hand and wrap it and he wondered why it could not be sold in packets instead of loose. 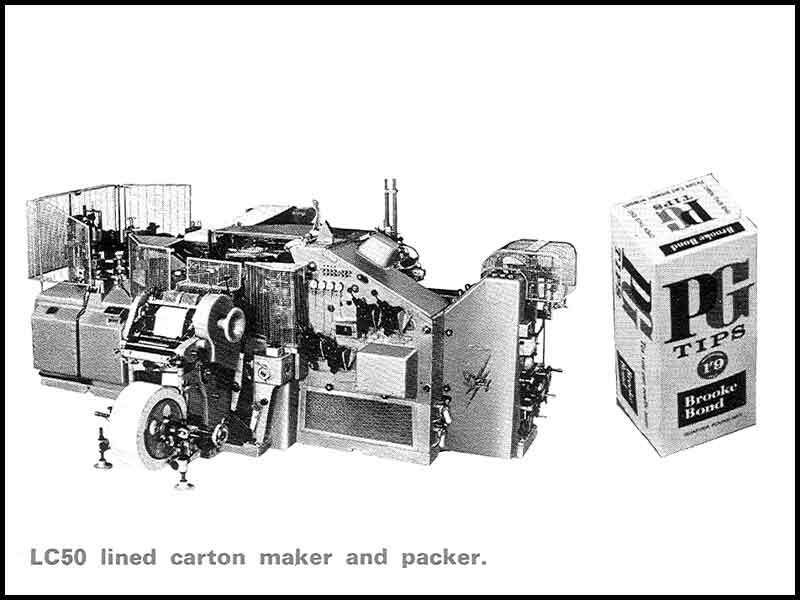 He resolved to make a Tobacco packaging machine. 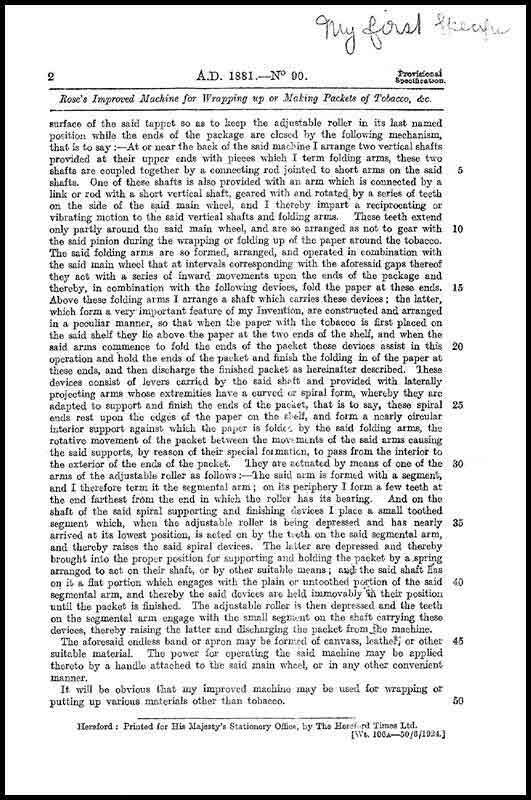 Entirely self-taught – in his bedroom until late into the night and at weekends, he taught himself the rudiments of mechanical drawing, applied mechanics, mathematics and all the other skills required to develop complex mechanisms - he devised a machine that could quickly wrap half-ounces of loose tobacco into neat cylindrical packages. Trained engineers of later generations marvelled at his ambition and tenacity. It was said that he could hardly have started with a commodity more difficult to pack than tobacco. 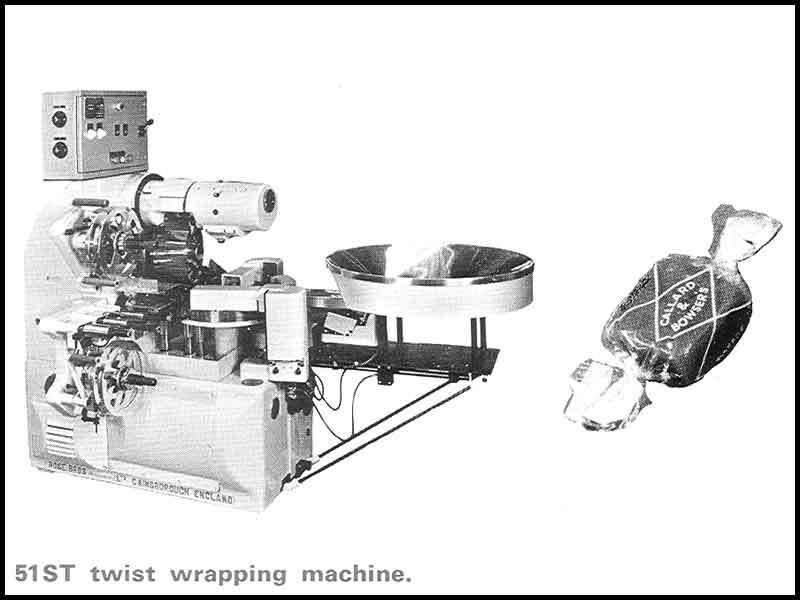 Sweet wrapping machines are much simpler mechanisms than the original tobacco packer with which William Rose “established the basic principles of automatic wrapping of later years”. After becoming owner of the barber’s shop, he continued to work at his models – “with neither equipment or resources, only mechanical problems, financial troubles – and heaps of ridicule”. It took seven years of effort before he completed a machine that did what he wanted, and he took it to the old-established tobacco firm of Wills in Bristol. This proved a very wise move as in their joint names, a patent was taken out in 1885 (Wills later renounced all claims to the patent rights). A chance visit to a London tobacconist by an American who was taken aback by the sight of a pile of Rose’s neatly wrapped packages, started William on a whirlwind development that involved Richard Harvey Wright (the American visitor), agreeing a contract which gave him exclusive right to sell, manufacture, lease on royalty and otherwise handle the Rose Tobacco Packer in the USA, Canada and Cuba. A clause in the contract required William to adapt his machine to produce rectangular packets for the American market and soon, William Rose had grown out of the premises formed from two bedrooms knocked into one and had fifty men on his payroll in a new factory built on the banks if the River Trent. 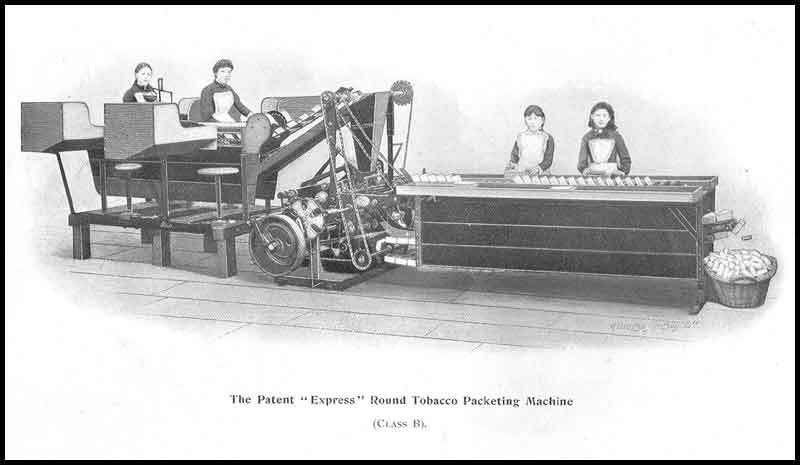 "Express” Round Tobacco Packeting machine. (NOTE: One of the early round tobacco wrappers is in Lincoln Museum, having been moved in 2004 from the Gainsborough Heritage Buildings). By 1905 he had sold machines to the value of over £36,000, his profits for the year topping £3,000. 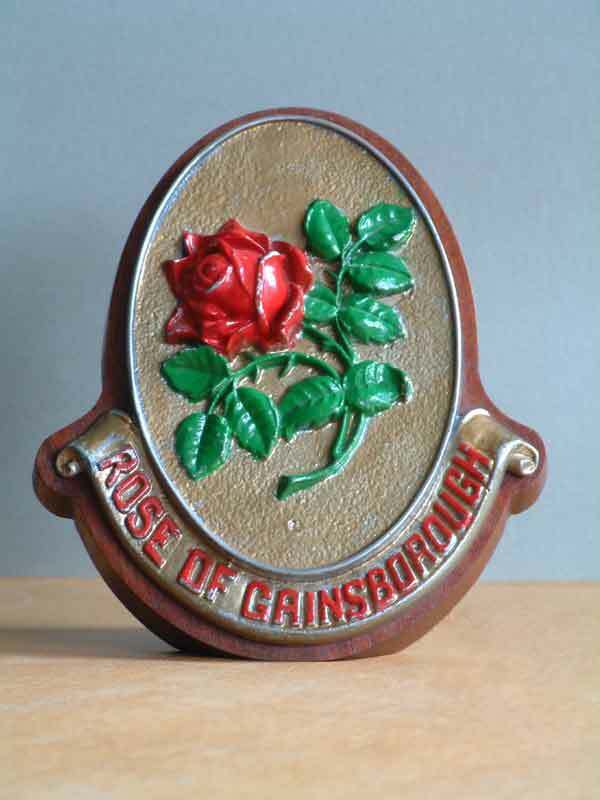 In 1906, William and his brother incorporated themselves as Rose Brothers (Gainsborough) Ltd. 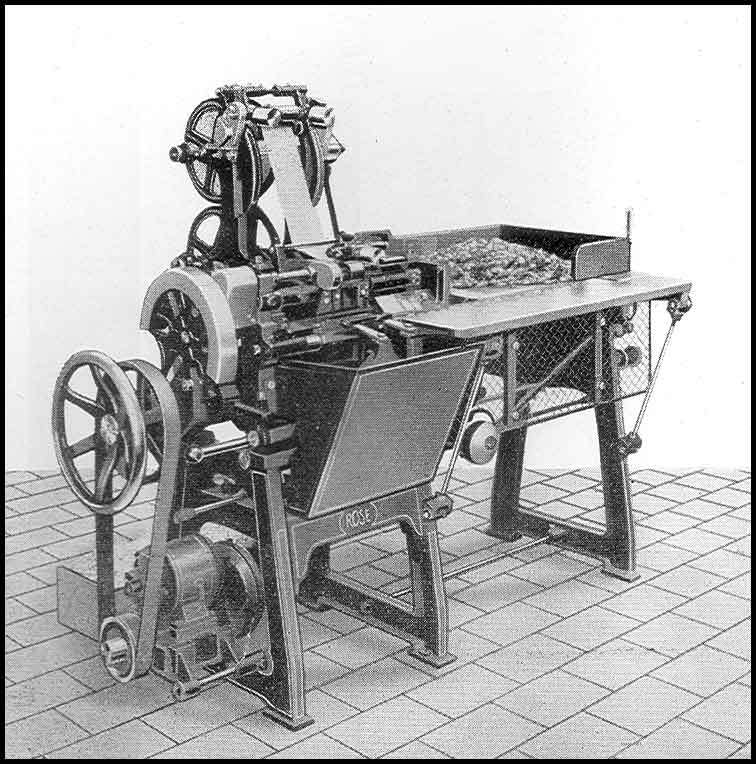 Within a few years, Rose began to apply the principle of this machine to the wrapping of other products. 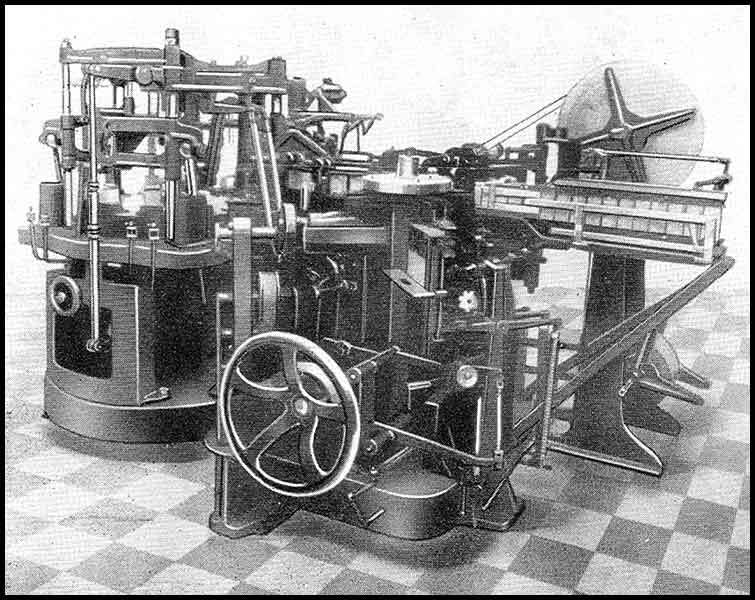 Rose Packaging machines were to be found in chocolate and confectionery, bakery, biscuit and tea factories. 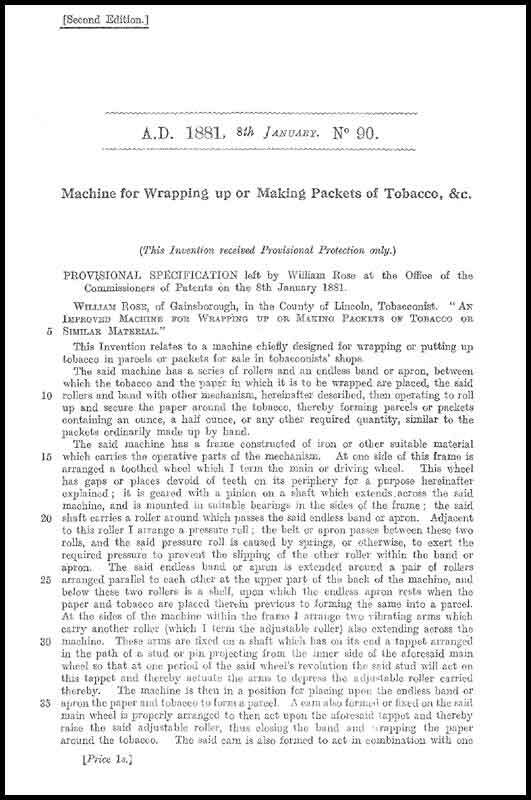 He was able to develop a cigarette packer and was approached by John Mackintosh of Halifax with an experimental twist-wrapping machine for confectionery which he perfected and was then allowed to exploit (The early machines were for toffee sized by hand and fed into the cut and wrap machine). He set aside a special section of his works to manufacture cartons for Reckitt & Sons of Hull. This operation grew rapidly and William formed the National Folding Box Company with his son-in-law Hugh S. Ridley as manager. “Progress was, however, slow as with the experience gained in manufacturing succeeding cars many alterations and experiments were found compulsory in order to deliver what the makers aimed to supply, viz., the perfect automobile; but it is pleasing to know that every car was an advance on the last”. 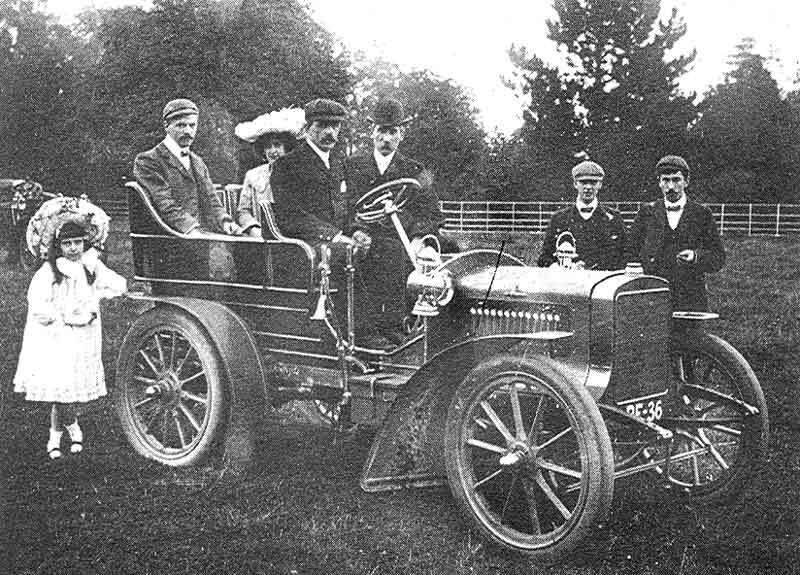 Most components, including the nuts and bolts, was made in his Gainsborough factory and by 1908, 37 Rose National cars had been sold. A three-cylinder engine became the standard power unit, although a four-cylinder model was introduced later. The 18-22 hp engine operated at 900 rpm and gave a top road speed of 40 miles per hour at 1,200 rpm. Petrol consumption was said to be 26 miles per gallon. Six different models were made, and the early wickerwork bodies were replaced by coachwork with real leather upholstery. “The change-gears enable us to climb any hill on a turnpike road in the world with the full load and without exertion”. “It was probably caused by one of the workmen having a lighted candle underneath the car”. Rose cars were exported widely. One model was known to have been used on a touring holiday in France. Unfortunately it overheated in the hot continental sun and was abandoned until it could be towed by horse to Rouen and eventually shipped back to Hull. Rather human in their temperamental ways, these old cars provided an adventure and frustration to their owners that is somehow missing in present-day motoring. The National was made in both the Landaulette and open styles. The price of a six-seater Landaulette, complete with electric lights, was £625, a not inconsiderable sum in those days. One of his creations, a 40hp model, raced at Brooklands, before being converted into a fire-engine, in which guise it remained in service at the Rose works until WW2. The engine - now in Lincoln Museum - had many interesting features not least the aluminium cylinder block of unusual toughness supporting individually cast cylinders. 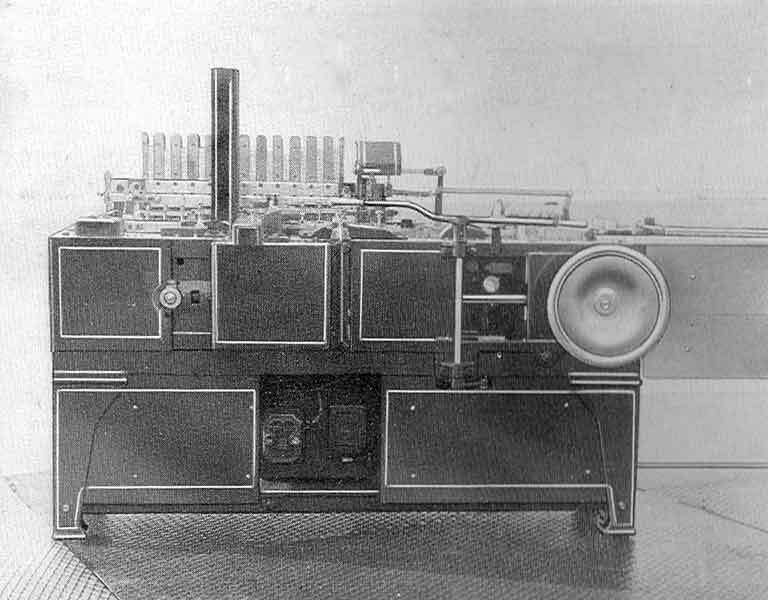 A dual ignition system – trembler coil for starting and magneto for running – was employed with two sparking plugs in each cylinder. An up-draught carburettor of Rose design fed the petrol mixture, the jet position being adjustable from the steering wheel. The clutch was a leather faced cone, and although it gave good, easy gear changes, its tendency to slip under load was apparently cured by a handful of sand. A number of the constituent companies of the Baker Perkins Group were caught up in the motor manufacturing hysteria that permeated the engineering industry at the beginning of the 20th century. 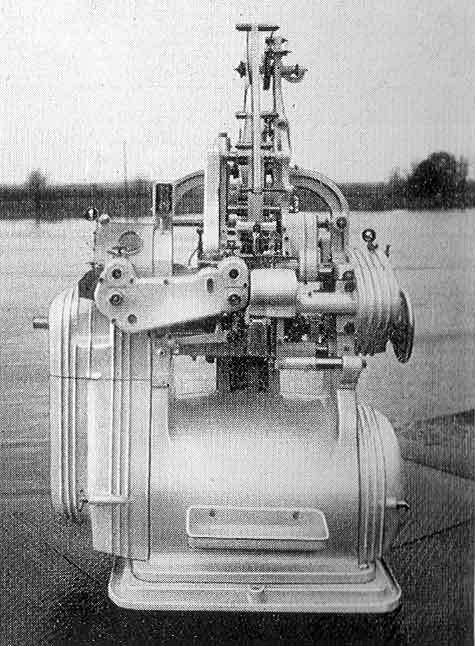 A.M. Perkins &Sons had toyed with the application of steam power to road traction in the previous century but Rose Brothers (Gainsborough) Ltd, Job Day & Sons Ltd and Werner, Pfleiderer & Perkins Ltd had all seriously attempted to produce viable motor vehicles but had met with varying levels of success. Even Joseph Baker & Sons Ltd had taken an agency for an American built car. It is understood that, perhaps the nearest that the Group came to becoming a car giant was - according to the 1945 diary of the father of Rose Brothers’ sales manager, W.L. 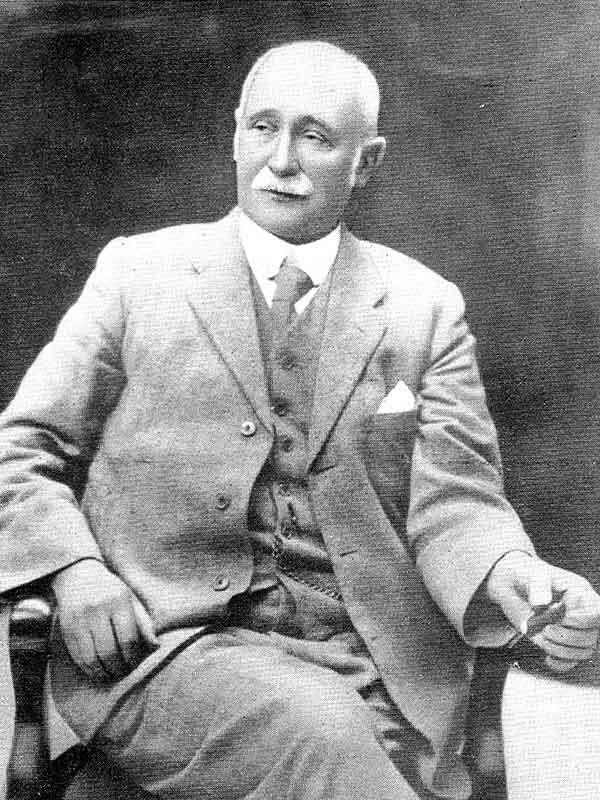 Fitchett – when, “Sir Herbert Austin came to the Gainsborough works with a view to taking them over. If this had taken place, Gainsborough would have become the home of the Austin car”. Because so many gears were needed for both his cars and wrapping machines, Rose decided to make them himself. A department was set up for gear cutting and this expanded far beyond his own needs and he began to supply gears to other firms. As a result the Northern Manufacturing Company was formed in September 1906. 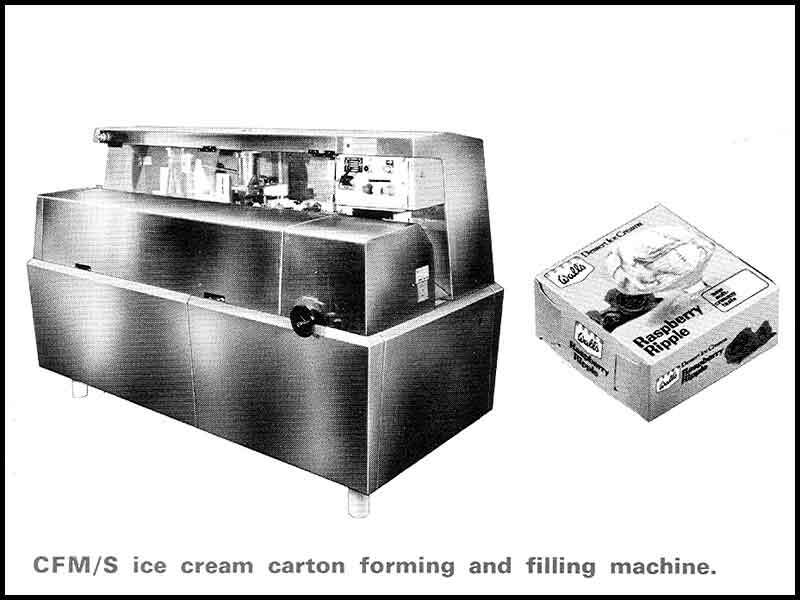 By 1908, William Rose was getting very involved in the manufacture of confectionery machines and, very wisely as it turned out, decided to cease production of cars and concentrate on the expansion of his packaging machinery business. The section of this history of Rose Brothers that covers the period from WW1 to 1970 draws in part from an unpublished memoir - "Some recollections of 53 years with Rose Brothers of Gainsborough" - by John Hunter who joined the Company as a junior in the Buying Department, in 1911, just prior to his sixteenth birthday, He retired in October 1964 after 53 years service and was awarded the OBE in the 1965 New Year Honours List. 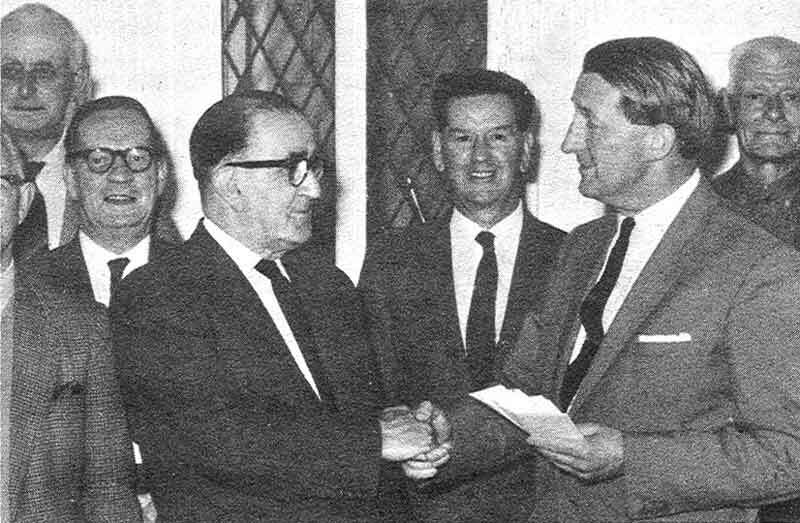 John was appointed a Board Director in July 1955 and was the Director in charge of the Saxilby factory. Rose received a contract for Gun Sights and Breech Blocks for “Q” ships – Surface vessels often referred to as ‘mystery ships’, they were able to disguise themselves in a variety of ways, typically as small merchant ships, but they had concealed guns with considerable fire-power which could be brought into action very quickly. “Q” ships tempted enemy vessels to approach them closely, only to be met with a totally unexpected volley of gunfire. Many enemy vessels and submarines were sunk in this way. Rose also produced large quantities of 12-pounder shells for the Army. 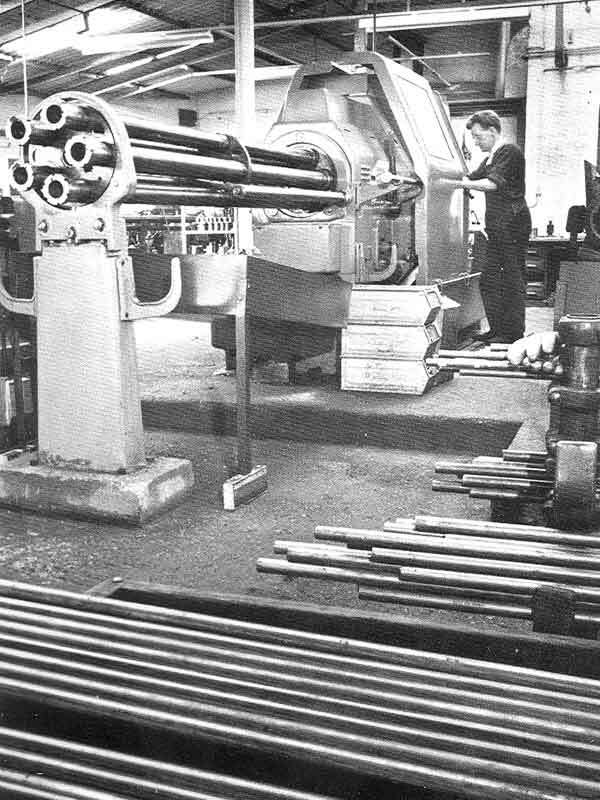 Syd Curtis, a designer in the Drawing Office designed special lathes for this task and was later in charge of shell production at Gainsborough. A contract for the Air Force (then known as the Royal Flying Corps), was for synchronisation equipment requiring high precision in design and manufacture that allowed the air gunner to fire through the aircraft’s moving propeller blades. William Rose had a poor impression of those responsible for equipping warplanes in WW1. The Royal Flying Corps were dropping their bombs from the fuselage by guesswork and William had invented a bombsight to increase the chance of hitting the target. He submitted the invention to the authorities whose response was to ask if such gadgets were really necessary. The design was not taken up. It is said that RAF aircrews that looked at the bombsight during WW2 – it was designed for aircraft having an air speed of 130 mph - declared it to be far ahead in technical design to the one that the RAF had been using in 1939. "A locally-based Royal Flying Corps unit had dropped some water-filled balloons round his home - Highfield House - one of which hit the stable roof dislodging a slate which fell and narrowly missed his gardener". William Rose had taken the sight to the appropriate Ministry in London but brought it home and heard nothing more. It was not until some years later that he discovered that the gentleman who had interviewed him had himself invented a bomb sight! "During the last war (WW2), we used the Red Hall (a very large house in Lord Street, now demolished) as a pattern store. When clearing one of the cellars, my attention was drawn to a small heap of rusted metal which I just could not identify. I took it down to the Works to Alfred Rose who, when he saw it, became very excited and identified it as William Rose's bomb sight. I had it cleaned up and put in a glass case in Alfred Rose's office until after I retired. I believe it is now in the possession of one of the Rose family". After the end of WW1, William Rose faced the difficult question of management succession. His two sons, Walter and Alfred were to join the family business - Walter went into Northern manufacturing Co., Alfred into the packaging machinery side. The two were by no means alike - Walter was slightly older - and perhaps the more conventional of the two. However, in 1922, just as their careers appeared to be shaping up favourably, Walter was taken ill with appendicitis and died within a few days.He was only 23 years old. Alfred continued to work on the Rose side of the business and showed that he had inherited his father's natural ability and flair. William Rose died in 1929 and Rose Brothers was left in the very safe hands of his son, Alfred who ran the company successfully for 28 years but very much in his own way. Alfred continued, and built on, his father's approach to business - a policy of expansion by extending his range of products, each new model bringing in new customers and aiding the growth of the company. As John Hunter put it - "The main consideration was not whether every new model would yield a given rate of profit but whether the company would expand its sphere of influence and its size?" This policy was vindicated in the depression of the 1930s when there was much unemployment and business was hard to get, Rose Brothers continued to be busy and visitors to the Works were surprised at the level of activity when so many engineering companies in the country were under-employed. The question was often asked as to why Alfred did not take as much interest in the commercial side of the business. His drive for perfection in his machines was certainly not matched by a similar perfection in Management Accounting, Budgetary Control, Costing, etc. However, he invariably produced a Balance Sheet at the end of the year that justified his policy. During the Thirties, Rose were approached by the Admiralty to manufacture the Mark111 H.A.C.S. (High Angle Control Systems) Tables - the predictor that controlled all of the Anti-Aircraft guns on a capital ship. This was a mass of intricate and high precision gears and mechanisms. The Northern Manufacturing Company was said to be one of the very few firms in the country capable of producing this equipment. The Mark 111 was followed by the Mark 1V and Rose were producing these when WW2 started. In the middle 1930s and the rise to power of the Hitler regime, Germany introduced legislation preventing German money from leaving the country. 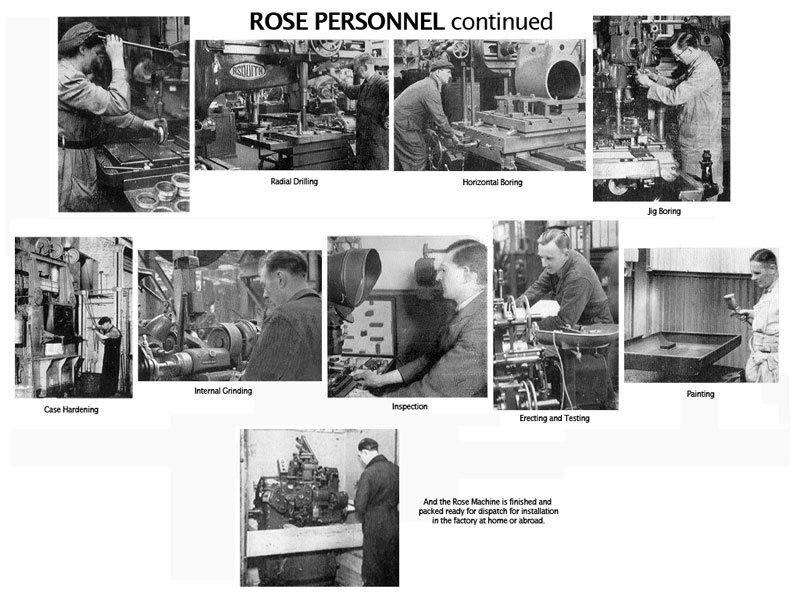 Rose were therefore unable to obtain the money due to them from sales of packaging machines to their German customers.This money could only be spent in Germany and Rose used it to build a small factory in Cologne, buy engineering materials, pay German workmen in Marks and meet operating costs. 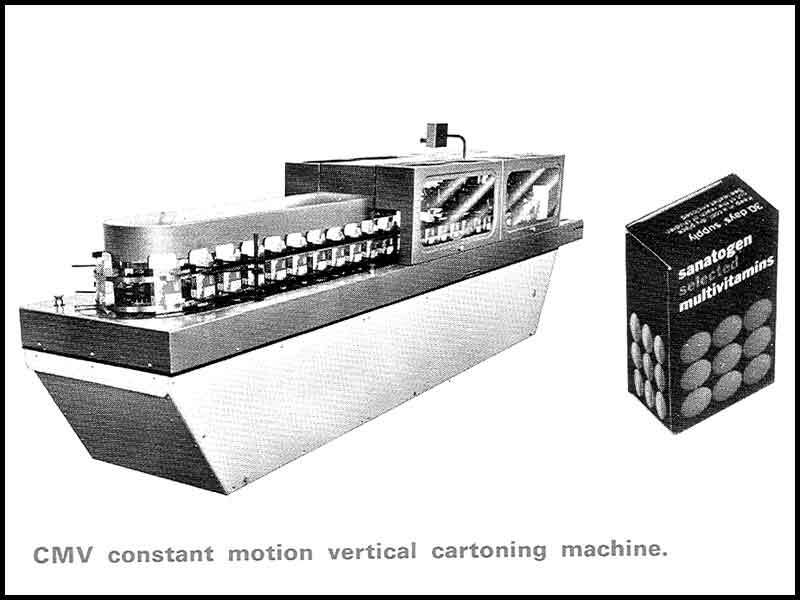 The packaging machines produced at the new company were supplied primarily to German customers. When war came in 1939, the Rose Cologne factory was commandeered by the Germans who used it to produce war material to wage war against the Allies. Later in the war, with the growth in Allied air power, the RAF destroyed the Cologne factory - all rather ironical. Some of Alfred Rose's finest hours could be said to have come during the dark days of WW2. His father had earned a reputation for accepting orders for machines irrespective of how difficult they might be to execute, and with little worry whether or not they would earn a normal profit. He was much more concerned with retaining his highly skilled craftsmen and achieving high engineering standards and thus he was able to turn with confidence to the production of war materials. A fuller account of the contribution made by Rose to the war effort can be found in Chapter 21 – "Equipping the Services" - in Augustus Muir's "History of Baker Perkins". Suffice it to say that the company's considerable energy and ingenuity was put towards developing pom-pom directors, gun sights, trench mortar and Stiffkey sights, breech loading mechanisms and many other items. 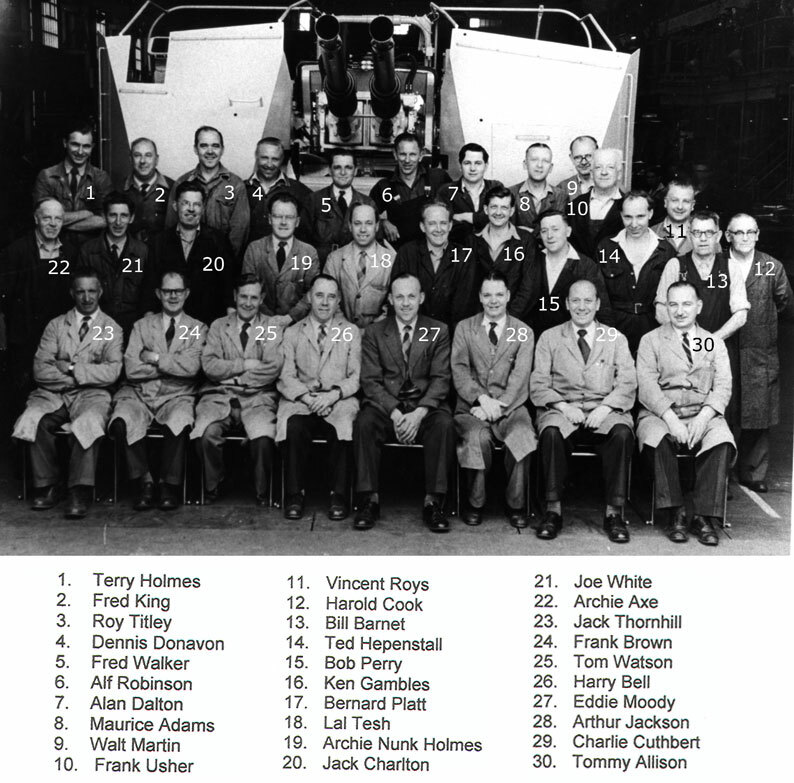 However, it was in their swift reaction to problems brought to them by a continuous stream of RAF personnel who were made welcome at the Gainsborough factory, including Air Chief Marshal "Bomber" Harris, Guy Gibson and Leonard Cheshire, that they excelled. In the early part of the War, the Hampden twin-engined bomber was a key part of Bomber Command's armoury. However, to quote Air Chief Marshall Harris - "The Hampden was then a most feebly armed aircraft with a single gun on top and a single one underneath, manned by a gunner in a hopelessly cramped position, together with a gun firing forward which, as it was fixed, was of no use at all. The mounts of the two moveable guns were rickety and had a limited traverse with many blind spots". It took Rose Brothers - in Harris's words - "A typically English family firm ..... the sort of firm which can do anything without any fuss and with a comparatively minute staff in the design and drawing office" - no more than a fortnight to produce designs for gun mountings that effectively doubled the fire power of the Hampden and eliminated all blind spots. In a few weeks, the mountings were in full production and going into action. 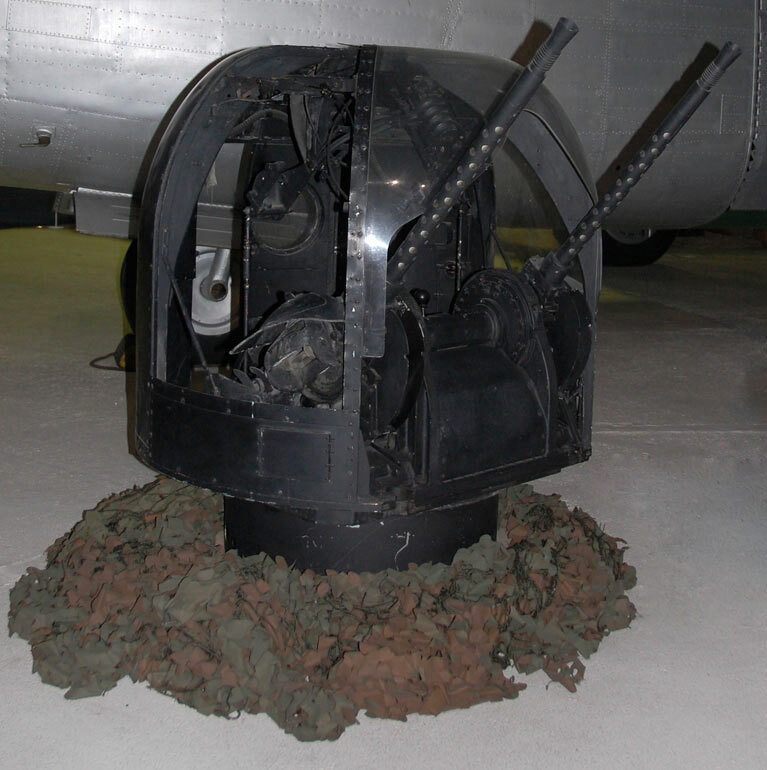 Over a thousand modified gun mountings were made for the rear turret of the Hampden bomber – which transformed its performance. “The gun was mounted on a rail with pegs inserted in holes to give the gun five firing positions. This was superseded by the Mk 2 that worked on rollers but moved by hand to cover an arc of 180 degrees. Later a small motor was added to make the gun fully automatic”. 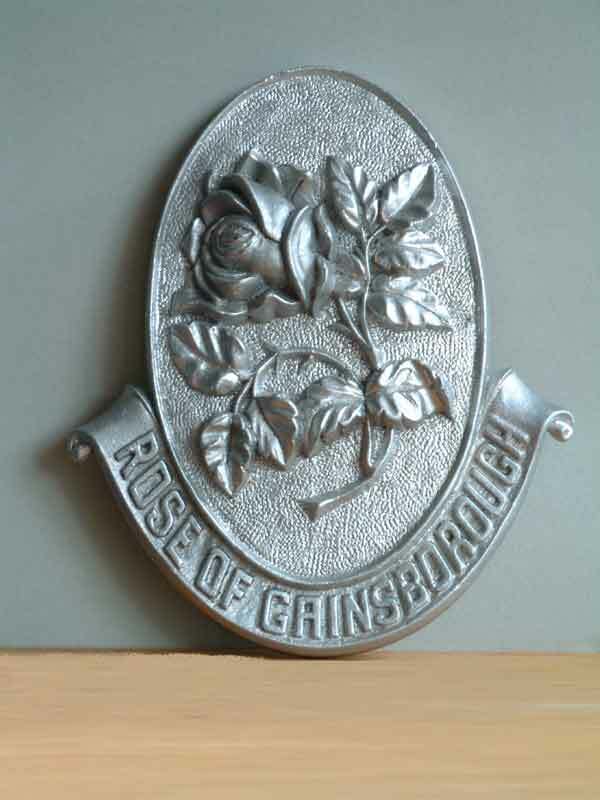 Tobin Jones adds - "I have some pictures of the Hampden Rose mount somewhere. It was an "I" section steel track, toothed on the inside and with an electric motor that traversed the gun mount left or right (180 degrees) by the use of a pair of push button Bakelite switches which drove the motor left or right. I believe that these were only fitted to the upper turret. They were produced at the request of a squadron commander and bypassed the normal time consuming official procurement system with the bill going to the squadron commander. When Harris, boss of Bomber Command was asked to approve the payment he did so without demur as he knew Rose Bros.". A Hampden bomber returned to RAF Hemswell with one of its wings half cut away having collided with a barrage balloon cable. How it got home, no-one could understand. The RAF immediately asked Rose to design some means of cutting barrage balloon cables and an attachment which was let into the leading edge of the wing was soon drawn up. It was flared to guide the cable into a slot and trigger off an explosive device that drove a sharp chisel against an anvil and so severed the cable. Rose manufactured a quantity of these and they were said to be very effective. Tobin Jones adds-" The balloon cable cutters were later produced en mass for all the numbers by Boulton and Paul and they take credit for their design! I have one somewhere! I believe that Rose also made the ad hoc modification that allowed a Vickers VGO machine gun to be mounted either side of the mid fuselage of the Hampden. Again, I have one somewhere. It was a nicely made steel box that spread the shock load across the soft skin via a steel spreader plate. These were fitted to most Hampdens by 1941". Another very useful item of equipment designed and produced by Rose Brothers was the oxygen economiser. Oxygen was stored under pressure in the aircraft in metal cylinders and when in use quite a lot went to waste, the only part used being that breathed in by the crew member. The economiser was a rectangular container containing about the amount of oxygen needed for one breath. It filled, then a valve closed off the supply and only opened after the crew member had emptied it by breathing in, via his oxygen mask. It is interesting to note that Rose Brothers’ introduction to the bearings industry (see The History of Rose Bearings, Saxilby), took place in WW2. In 1944/45, many Lancaster bombers were crashing before they could reach their home stations. The courts of enquiry in to these crashes established that most of them crashed owing to shortage of fuel and this, despite the fact that the reserve tanks were full. The RAF found defects in a linkage arrangement governing the changeover from the main petrol tank to the auxiliary tank in the Lancaster bomber. The linkage was fitted with spherical bearing rod ends that failed to stand up to the vibrations in the aircraft. The rod ends then in use were standard aircraft parts, made to Air Ministry specifications, and they comprised an outer housing of steel and a spherical inner of soft self-lubricating material. The failures arose from the wear or collapse in service of the inner member. Because of its strong relationship with the RAF, Rose Brothers was approached to make something more durable and efficient. Rose selected better materials – an alloy steel for the outer casing and a high quality hardened steel for the inner component – both materials being suitable for precision grinding of the mating surfaces. This combination of better materials and precision engineering proved to be the complete answer and many thousands of Rose rod-ends were supplied to the RAF. 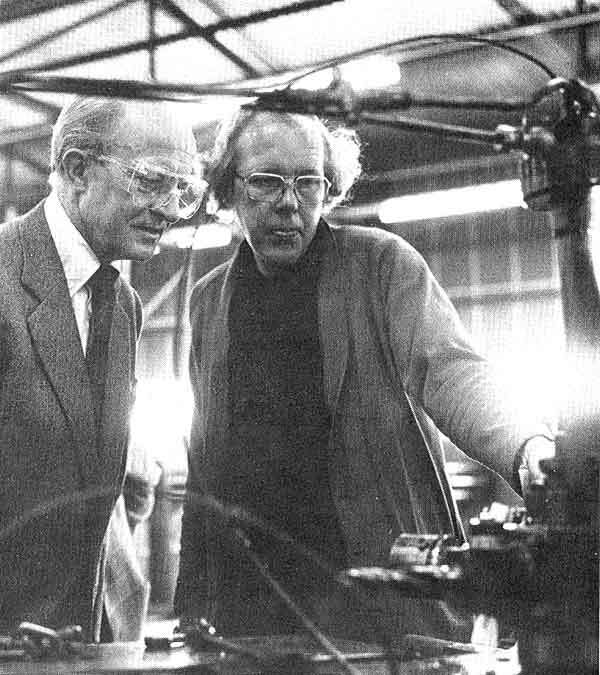 Rose’s links with RAF Scampton were almost as close as with RAF Hemswell and Guy Gibson, Leonard Cheshire and others were frequent visitors to the Albion Works. 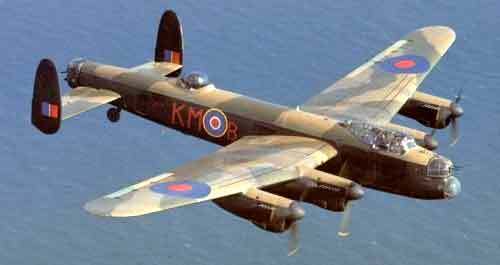 Gainsborough was also said to have made parts for the Lancasters that carried out the Dam Buster raid. The story of this is told in length by Augustus Muir in his chapter on “Equipping the Services”. 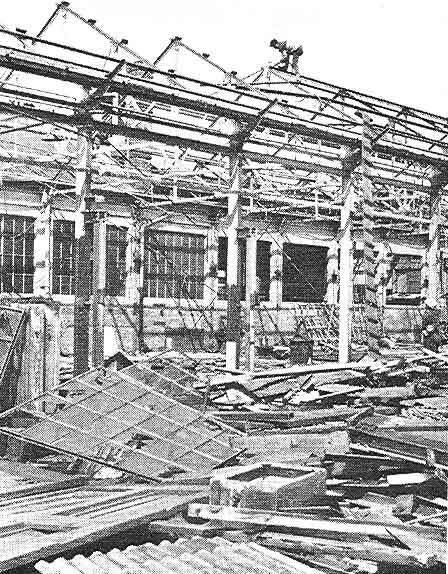 "After this," said a Rose executive, "our works in Gainsborough seemed to become an extension of the Air Force workshops in No. 5 Bomber Group. 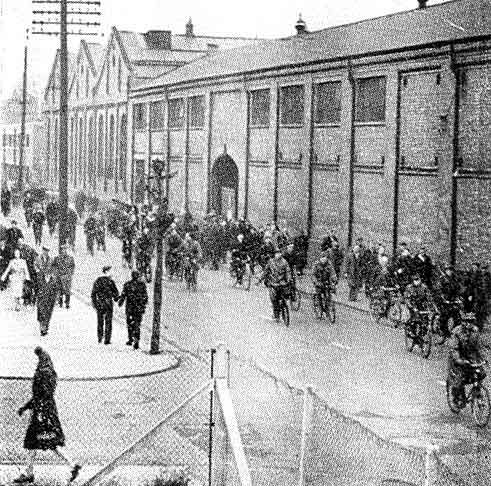 ............. Albion Works and our sportsground were always open house to anyone in the RAF. Time and again, on the urgent call of the Station Engineer at Scampton, the men would work non-stop until the job was completed. When they came to manufacture new 'details' for the Lancaster Bombers, it was evident that something big was in the wind. 'Finally one morning,' wrote a member of the firm, 'we heard over the BBC 7 o'clock News Bulletin the report of a mission that became famous as one of the outstanding exploits of the War, the Dambusters raid. About 8 o'clock, the Station Engineer at Scampton phoned through to us. He said simply: 'Tell the lads, that was their job!' We put the news out on our loudspeaker system all over the works, and I will never forget the thrill which it created." NOTE: It is not known which parts of the Dambuster's 'special' equipment might have been made at Rose Brothers. IS ANYONE ABLE TO SHED ANY LIGHT ON THIS, PLEASE? "We have already mentioned the fact that we seemed to be an extension of RAF Station workshops. We were always getting sketches from the various Station Engineers and it was always understood that we worked 24-hours a day, seven days a week until these details were finished. There came a period when we were getting bundles of sketches almost every day from the Station Engineer at Scampton. This went on for some time and we were told that these must have absolute priority through the works. Because of the size of the "bouncing bomb", the Lancaster's huge bomb doors were replaced with fairings. Vickers at Burhill, were responsible for the two large attachment arms holding the weapon in the Lancaster's bomb bay and the driving mechanism that imparted the necessary 500 rpm of backspin just prior to release. It was planned that 30 aircraft should be modified but, in the event, 19 Lancasters set out on the raid. Of the 133 aircrew who went on the raid, 53 were killed and three bailed out to be made POWs. Of the surviving aircrew thirty-three were decorated at Buckingham Palace on 22 June, with Wing Commander Gibson awarded the Victoria Cross. In total there was one VC, five DSOs, ten DFCs and four bars, twelve DFMs and two CGMs. After the raid, Gainsborough was visited by Guy Gibson and a number of the aircrew, complete with their new medals. Sir Arthur "Bomber" Harris was appointed Commander-in-Chief of the Royal Air Force Bomber Command in February 1942 and one of his key concerns throughout his tenure was the limited fire-power of the Lancaster's gun-turrets. The .303 guns were usually loaded with 30% incendiary, 60% armour-piercing and 10% tracer bullets that in practice were of little use against armour plate, a problem not solved by the Air Ministry before 1945. It is claimed that a Lancaster fitted with a Rose Turret was the first to shoot down an armoured German night-fighter. (NOTE: Some fine shots of the Rose Turret fitted to a Lancaster can be seen in the superb "Archive of War" film - "Night Bombers". This was filmed at RAF Hemswell in late 1943 and is one of the few records in colour of a complete mission over Germany). The Rose Turret was designed to a very exacting specification with - as quoted in the June 1980 issue of "Air International" - "The fundamental principle of the Rose turret was to keep down to a minimum the length of time between spotting the target and bringing the guns to bear on it. Instead of a gunner having to search the sky and then swing his guns onto the target with the Rose turret he searched for his target by looking directly through his reflector sight. 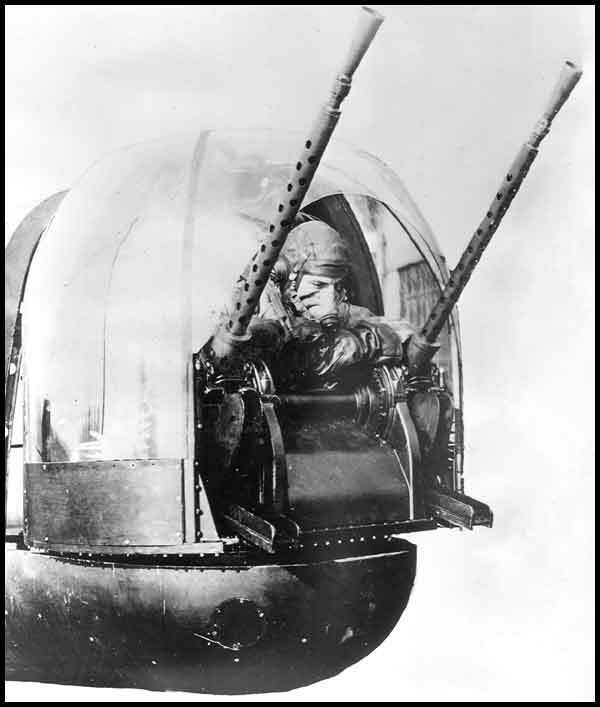 The reflector sight was strengthened so that the gunner held the sight itself and used it to control the turret. As a result, the gunner was able to press the firing button immediately he spotted the target through the sight. The turret cupola was specially designed to give a clearer view - it was even possible to see vertically downwards and, with the turret dead astern, to see both wingtips of the aircraft. As the outward end of the turret was open, a gunner was able to ‘bale out’ by diving directly between the guns which were spaced widely apart to allow this. A great deal of space inside the turret was included in the design to give the gunner more room. There was, in fact, enough room for two people inside the turret at the same time". Such was the simplicity of the controls that little additional training was needed and the new turrets proved popular with the gunners. Another radical design feature - the open front - overcame frosting which was a severe problem, especially on night operations. It is perhaps surprising to learn that the difference in temperature between an open and closed cupola facing to the rear, was only a few degrees. An assembly line system was used for production, which involved 14 stages of assembly. Time to assemble each turret was about seven working hours. Just over 200 turrets were delivered to the RAF before production ceased at the end of the war. A type ‘R’ turret could be fitted to a Lancaster without any alteration to the existing mounting within 3½ hours. The men and women who built the Rose Turret. Photograph taken at Gainsborough on 6th March 1945. The Rose Turret fitted to a Lancaster bomber. The shape of the turret mean that the slipstream was not pulled back into the gunner's face. The Turret was more roomy and it was no longer necessary for the gunner to leave his parachute in the fuselage - wasting precious minutes in the event of having to bale out. There was even space for two men in the Turret but this was not, of course, an operational requirement. The spacing of the guns allowed maximum elevation and depression, improved access for servicing and allowed the gunner to bail out through the direct-vision aperture. There was little of the very vulnerable tail area of the Lancaster that the gunner could not cover. The Rose turret on display in the RAF Museum, Hendon. Note that the display board puts the number of Rose Turrets built as 227. “It had more room than in other types and it was possible to wear a back type parachute and so bale out of the turret. It was, however, very cold due to the cut-away Perspex, which left the turret completely open. This made for better vision but it was necessary to wear four pairs of gloves. One also had to be careful when entering the turret not to catch one of the control rods with the right foot, causing turret rotation. The turret was controlled by grasping a control box with both hands (this was about four inches square and set at about eye level) and also carried the reflector sight and firing button. By moving the control to the left, the turret swung to the left, and so on. Ammunition was stored in side the rear of the turret in tanks. 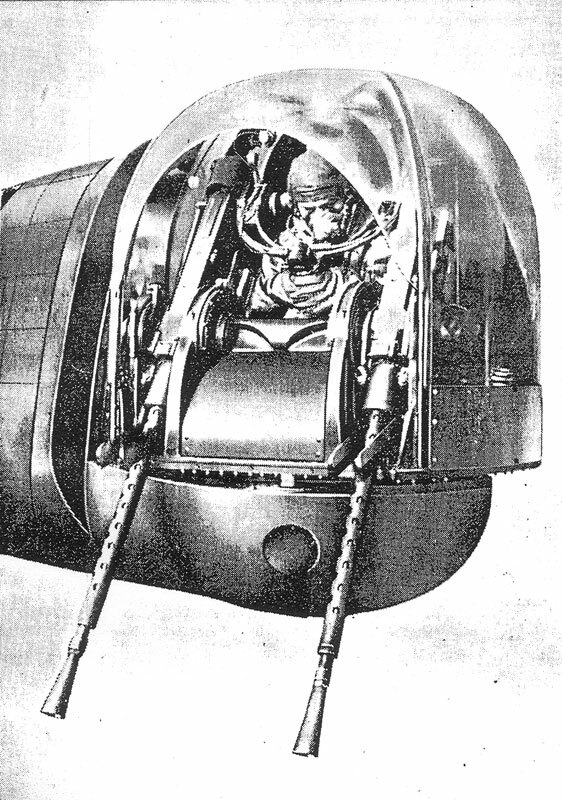 In other makes of rear turret, the ammunition was stored in the fuselage and fed via the bottom of the turret. In front of the turret was another knob which could be used to rotate the turret, known as the search lever. It was used when searching for fighters, as this was less tiring than stretching up all the time operating both the guns and the turret. The turret could also be operated by hand if motors or hydraulics failed”. 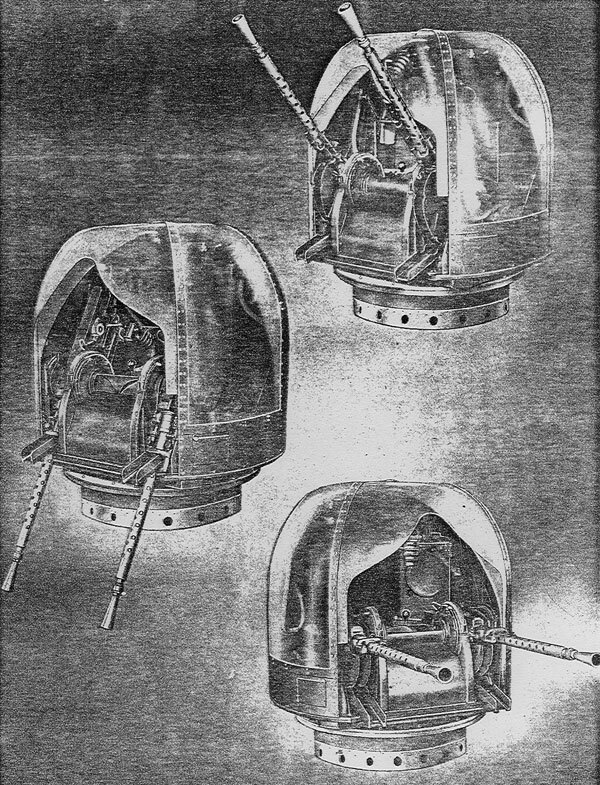 A key part of the Rose turret mechanism was the valve chest. This facilitated a rapid change in the direction that the guns pointed by instantly altering the flow of oil in the hydraulic system. The turret and guns were lined up instantly wherever the sights were pointed. The gun turrets were tested at the Rose factory and some of the men who worked on these guns also installed them in the aircraft. 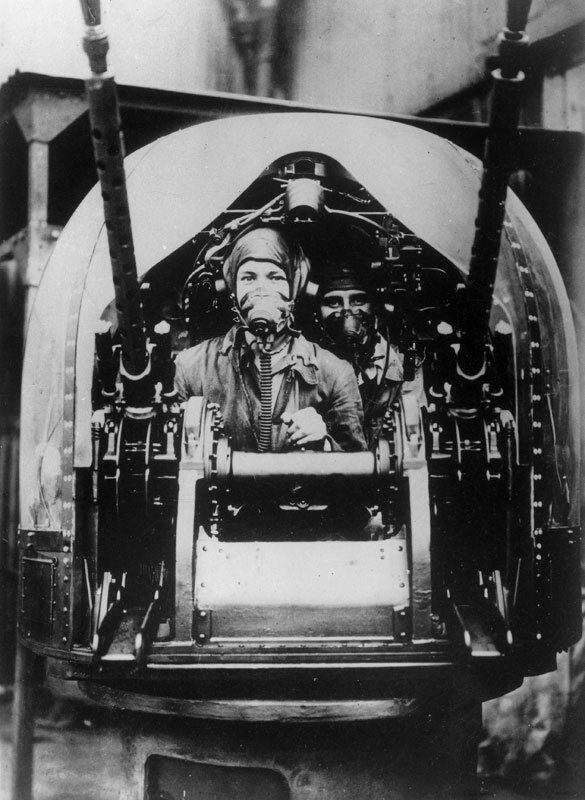 The rear gunner kept his lonely watch, suspended in space at the extreme end of the fuselage, far removed from his fellow crewmembers and the Lancaster's rudimentary heating system, in a cramped metal and Perspex cupola that had so little leg space that some had to place their flying boots into the turret before climbing in themselves, whilst subject to the most violent movements of the aircraft. As pointed out earlier, rear gunners often removed a section of the Plexiglas to improve their view, so with temperatures at 20,000 feet reaching minus 40 degrees, frostbite was a regular occurrence. Discouragingly, throughout the sortie, the rear gunner knew that the Luftwaffe fighter pilots preferred to attack from behind and beneath the bomber, so he would be first in line when danger threatened. During World War II 20,000 air gunners were killed while serving with Bomber Command. Surprisingly, another frustration suffered by all of the gunners in RAF aircraft was the RAF's instruction not open fire except "in moments of crisis" - in case the flash revealed the plane's location to German night-fighters. In practice, it was perhaps the flame from the Lancaster's engine exhausts that provided the enemy pilots with a clearer aiming point. The Rose turret was used by Nos. 83, 101, 150 and 170 Squadrons of No. 1 Bomber Group from the middle of 1944 onwards. 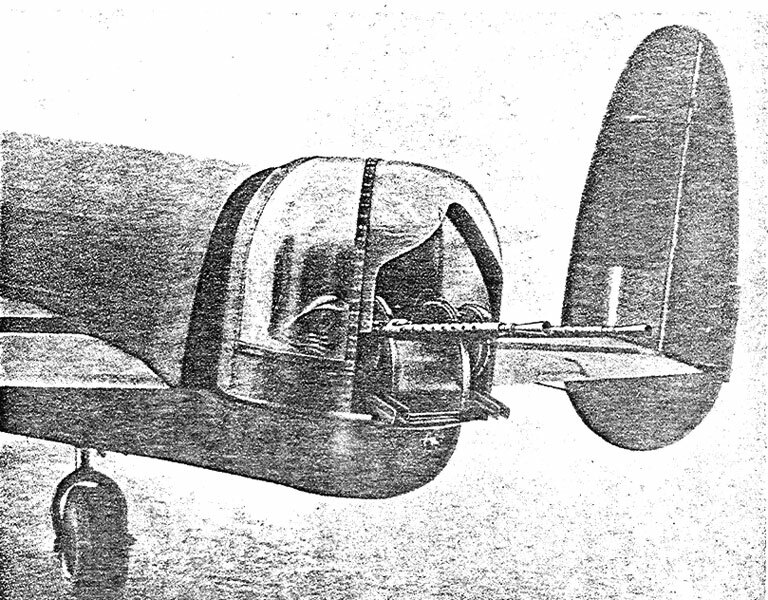 Frazer-Nash later developed the F.N.82 turret which was also fitted with twin 12.7 mm (0.50 in) Browning machine-guns and equipped the Lancaster Mk VII. 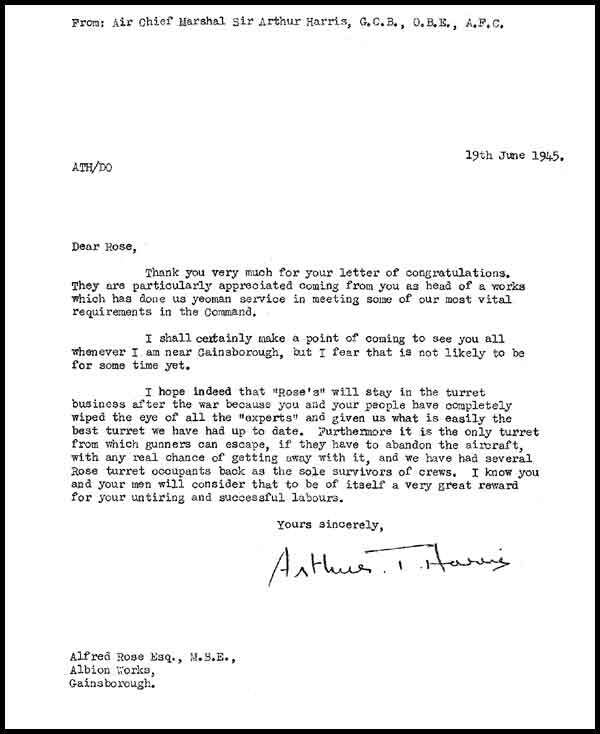 Letter to Alfred Rose from Air Chief Marshal Sir Arthur “Bomber” Harris, dated 19th June 1945. The final part of the letter is particularly telling – “....what is easily the best turret to date. Furthermore it is the only turret from which gunners can escape, if they have to abandon the aircraft, with any real chance of getting away with it, and we have had several Rose turret occupants back as the sole survivors of crews....“. It is believed that Rose also supplied hand-operated dorsal turret gun mountings for a small number of “special transport” (troop carrying) versions of the Armstrong Whitworth Albemarle medium bomber that were transferred to the Soviet Union in 1943/44. A new book - "Lancaster - The Second World War's Greatest Bomber" by Leo McKinstry, published by John Murray (Publishers) - adds to the Rose Turret story. Such was the urgency to equip the Lancaster with 0.5" gun turrets that the Air Ministry did not feel that they could - "rely solely on the efforts of a small Lincolnshire firm" - and continued to put great pressure on Nash & Thompson (Frazer Nash) to complete development of the FN82 Turret. However, this was itself subject to significant delay leading Air Chief Marshal Harris to keep up the pressure on Alfred Rose's team. The Rose Turret too suffered from some teething problems as mentioned earlier - "In certain early firing trials, the turret shook violently which Air Chief Marshal Harris confessed to Chief of the Air Staff Sir Charles Portal was due to 'poor workmanship in regard to tolerances in the base ring'". Despite all of the pluses claimed by Harris, - "For the Air Staff, the serious drawback of the Rose-Rice Turret was the hand-made method used in its manufacture". "The fact was that they could not be produced quickly enough nor were their parts interchangeable. The Air Ministry warned that 'if mass production of the Rose Turret were to be achieved, it would be necessary for completely new drawings to be produced and the job to be properly tooled up'. This process, it was estimated, could take another nine months". None of this in any way diminishes Alfred Rose's achievement. In the event, as stated above, only 227 Rose Turrets were ever built but even fewer FN82s were fitted to wartime Lancasters. As a footnote to this saga, it is understood that it was suggested in some quarters that the Lancaster would be better if all the "ineffective" turrets were removed, saving weight and crew members and adding some 50mph to the aircraft's top speed. However, the powers that be considered that such a move would be psychologically detrimental to the rest of the crew. (Our thanks to Leo McKinstry for his kind permission to quote extracts from his book). NOTE: A more detailed summary of the development and trials of the Rose Turret can be found here. 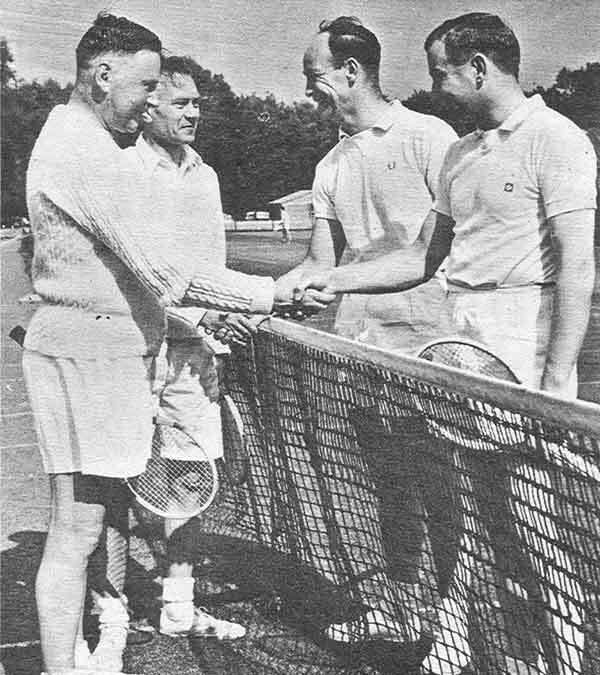 "We also spent a lot of time entertaining RAF air crew in Alfred Rose's office and on the works Sports Ground. 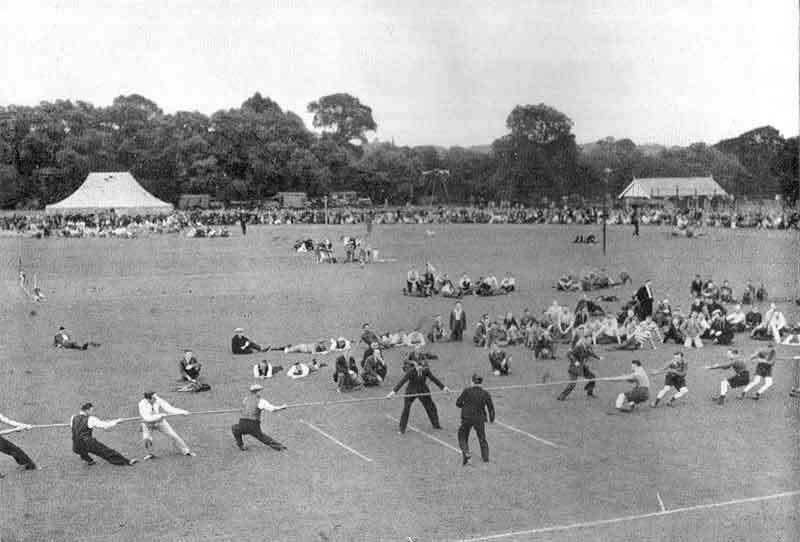 There was a very long period when we used to entertain 30/36 air crew every Sunday and Alfred Rose, Vic Wilson and I took it in turns to entertain them - food, drink and games. I remember entertaining 36 New Zealanders on one occasion. One of these, Flt. Lieut. Mc Cloud, came to see us after the war and we were shocked to learn that of the 26, only four had survived the war". It is worthy of note that the Rose Brothers subsidiary - The National Folding Box Company - made a valuable contribution to the war effort during 1939 –1945; almost its entire production went into RAF fighters and bombers. For improving the design of certain instruments, a special award was made to the company by the Patents Department of the Air Ministry. 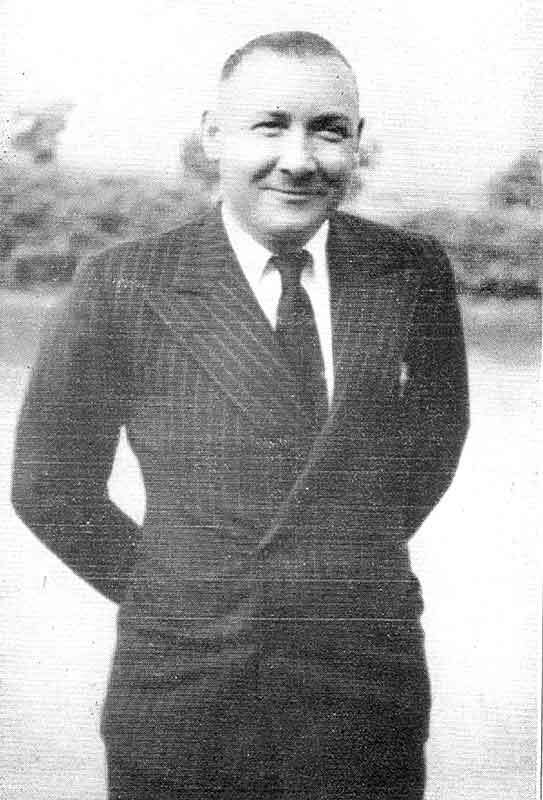 John Hunter had become involved with contracts for the Services in the 1937 re-armament period and in WW2 dealt with all of the Ministry of Aircraft contracts - this involvement continuing until his retirement at the end of 1964, during which time he had also taken over responsibility for Admiralty work on the death of J.A. 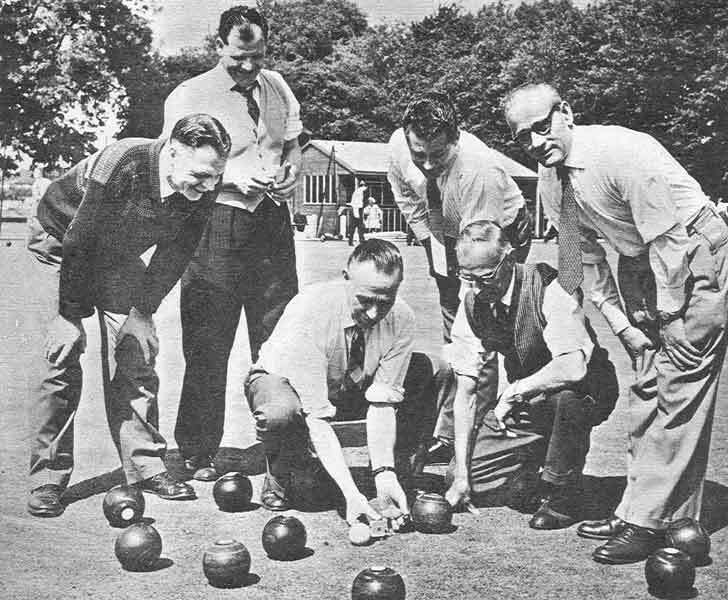 Fitchett in 1957. Alfred Rose's policy of putting the needs of the RAF personnel "who had the dangerous work to do", before the "paperwork", caused John Hunter quite a few problems but he eventually devised a system of getting proper contract cover and pricing that satisfied both parties. Both he and Alfred Rose were, however, less than impressed with the competence of some of the Government Inspectors with whom they had do deal (see also Westwood Works' experience here). "One inspector came to examine some gears made by the Northern Manufacturing Co. and was told that the gears were ready but the keyways were not yet cut; this work would take a day or two more. He passed the gears as satisfactory and sent us a telegram the next day reading 'Despatch gears at once. Keyways can follow'." "We were producing Reflector Gunsights for aircraft. These were delicate instruments that had to be tested at a temperature of minus 40 degrees and written instructions to this effect were given to our workshops. However, the inspector in question, upon seeing the written instructions, came to me to complain that the instructions omitted to specify whether the low temperature was Fahrenheit or Centigrade. When I pointed out that it was quite unnecessary to do this (since both were the same at minus 40 degrees), he seemed incredulous and said he would have to check with his headquarters". Augustus Muir also tells the remarkable story of how Alfred Rose responded to an unexpected request from the Air Ministry, the result of which was that, in a new ‘dispersed’ factory in the village of Saxilby the site for which was found, buildings erected, machinery put in, electricity, water supplies and drainage laid on and roads built, all within little more than 30 weeks – a new navigation instrument, an air position indicator that allowed navigators to read off their positioning degrees and minutes, described as “the most efficient type then in use”, was produced. 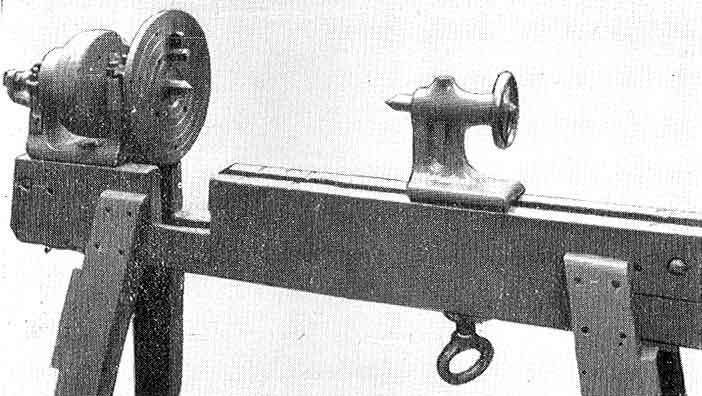 The Ministry of Aircraft Production had first placed the order for these Air Position Indicators with the National Folding Box Company but the Ministry's demands for ever higher rates of production meant that the Company became desperately short of space, and more importantly, female labour. A pool of female labour was found in Saxilby, the plot of land bought, pre-fabricated buildings were erected and the new factory started production in March 1943. This device continued to be made at Saxilby after the war. Mrs Plummer, who had joined the company at its opening in April 1943, was responsible for the welfare of the well over 100 women who worked in the factory when it was on full production. Finding digs for them all in Saxilby was quite a task. This illustration is of what is believed to be the type of instrument for which Saxilby was first set up to manufacture. Eric Foxley has kindly given permission to use this image from his website. We understand that the instrument now resides at Bletchley Park (of Enigma code-breaking fame). 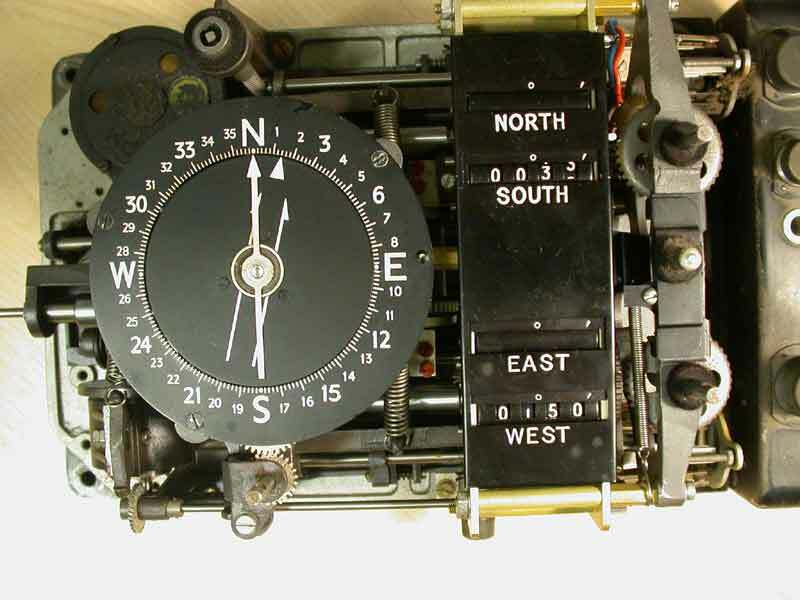 This unit is from UK wartime aircraft, and computed an aircraft's latitude and longitude using an entirely mechanical (analogue) process, involving integration, sines and cosines. The current speed and direction were fed in on servo-motors on the right of this photograph. The speed was split mechanically into sine and cosine components for latitude and longitude changes, and integrated to give the current position. The longitude calculation also needed an inverse "cosine" component (longitude changes more quickly nearer the poles proportional to the cosine of the latitude). The mechanical process would, of course, have failed near the north or south poles. 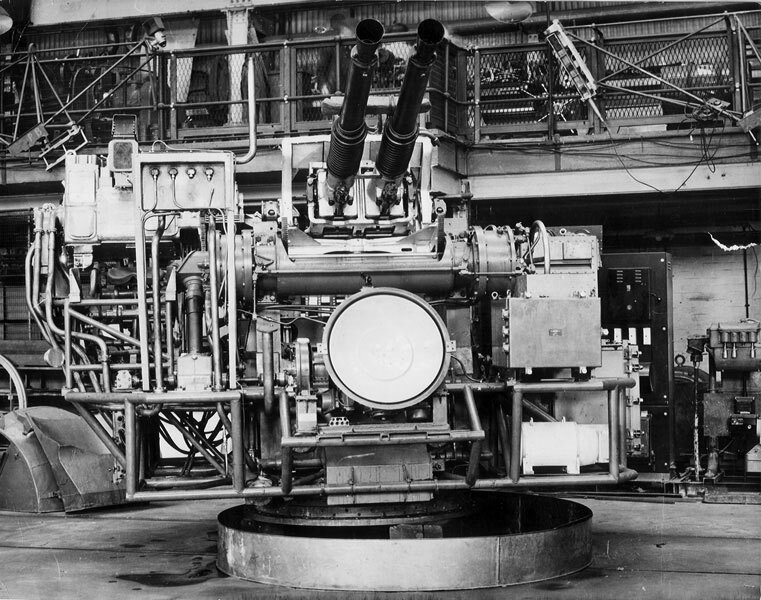 The success of the new instrument brought orders for other pieces of equipment to be made at Saxilby - air-dryers, bomb-carriers, camera mountings, test-units and film processing machines. Rose's involvement in weapons production was not confined to working with the RAF. The firm's work for the Admiralty had begun during the 're-armament period' of 1937 and continued unbroken until 1985. 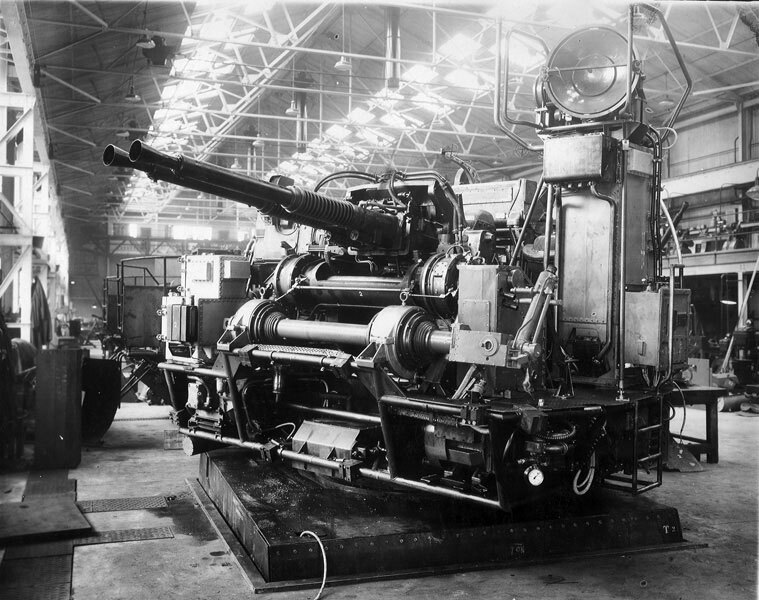 The largest war contract executed by Rose Brothers, requiring the erection and equipping of a separate workshop, was for STAAG - designed in 1941 - twin Bofors guns on a stabilised platform rotating through 360 degrees with a very high elevation and low depression. STAAG first came into service on Royal Navy ships in early 1942. 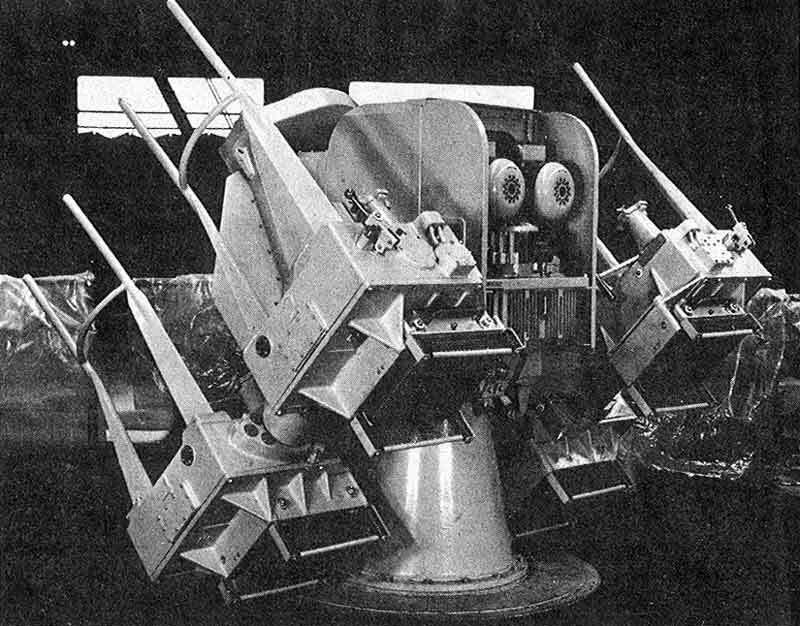 The STAAG.- standing for Stabilized Tachymetric Anti Aircraft Gun - was a very large twin-barrelled gun, that as the name indicates, was stabilised and carried its own tachymetric (predictive) fire control system capable of "locking on" to a target. 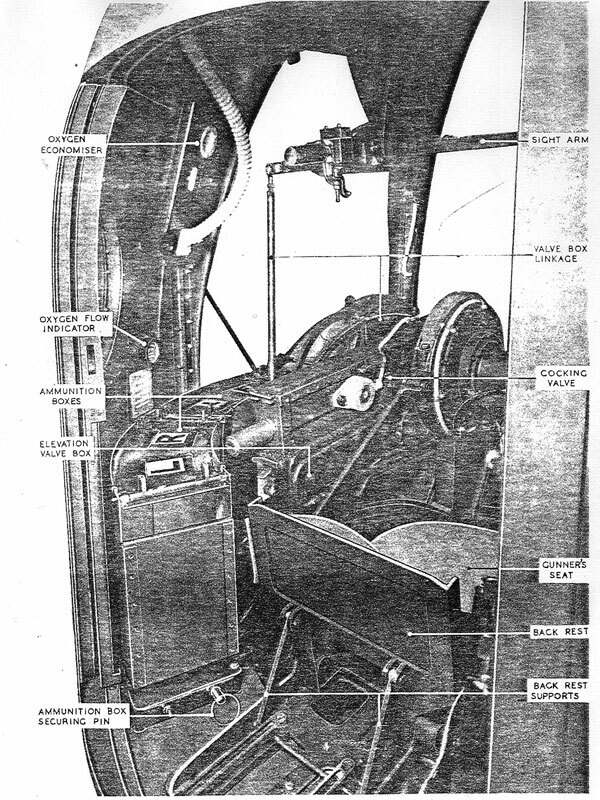 Unfortunately, at 17.5 tons, this mounting was grossly overweight and the high-vibration of the gun mounting was a less than ideal location for sensitive valve electronics and mechanical computers. 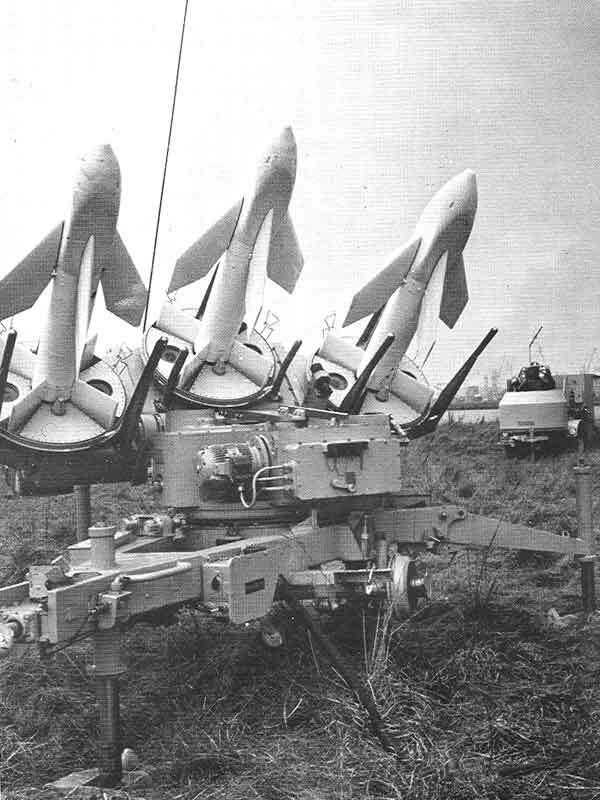 An ambitious weapon that was ahead of its time, STAAG was too difficult to maintain in the harsh environment of a warship and was later replaced by the Sea Cat missile. Rose produced STAAG mountings until 1959, the last one leaving the Works in November of that year. Two versions of the naval STAAG Anti-Aircraft Gun being assembled at Rose Brothers, Gainsborough. Some of the men involved with production at Gainsborough of the STAAG Gun (in the background). Is anyone able to put a date to this photograph please? One of the most significant post-war the development of the Rose Bearings business from the small beginnings in WW2 supplying rod-end bearings for a specific application on the RAF's Lancaster bombers (see here). NOTE: For the history of the development of the Rose Bearings business at Saxilby, see History of Rose Bearings, Saxilby. 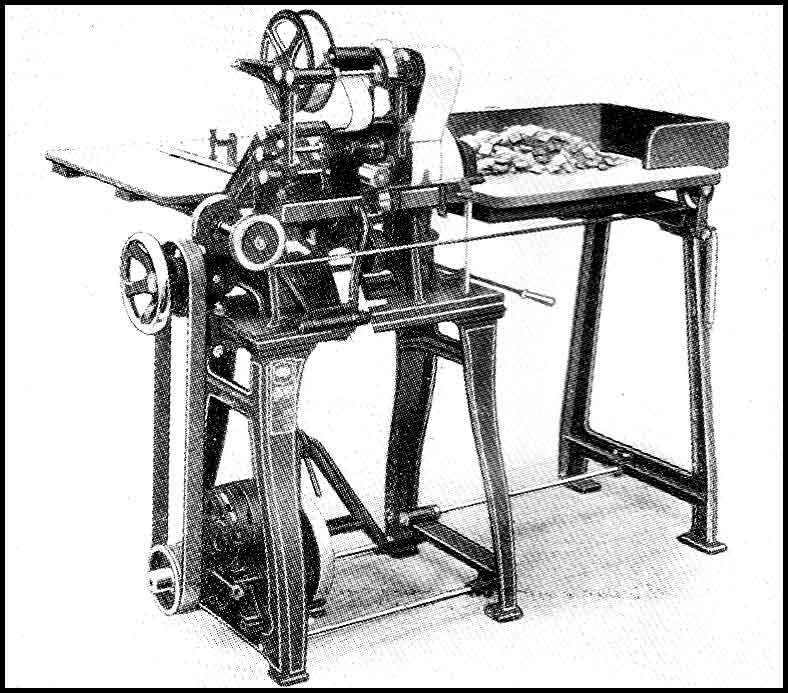 Another important venture at the time was the manufacture of Ambler Superdraft Textile spinning machines, the story of which is touched on at the beginning of the History of Rose Bearings, Saxilby. More will follow later. On June 2nd 1949, Alfred Rose married Miss Ruth Dickenson at Marton village church near Gainsborough. Up to the time of his marriage, Alfred had lived with his mother at Highfield House, Gainsborough but had for some time inspected various properties in the district in which to start married life. Alfred had made sufficient money during WW2 to buy the 18th century gothic Fillingham Castle, in the village of Fillingham, not far from Gainsborough. The whole estate comprised four farms, about fifty tenanted houses and cottages, extensive woodlands and a large lake; about 2,300 acres in all. The land was in good heart but the buildings had been badly neglected. A good deal of work was needed to deal with the many repair jobs needing urgent attention but all was complete in time for Alfred and his wife to go into on their return from honeymoon. Many of the skilled men working at Rose Brothers also spent time working on the Fillingham Estate. 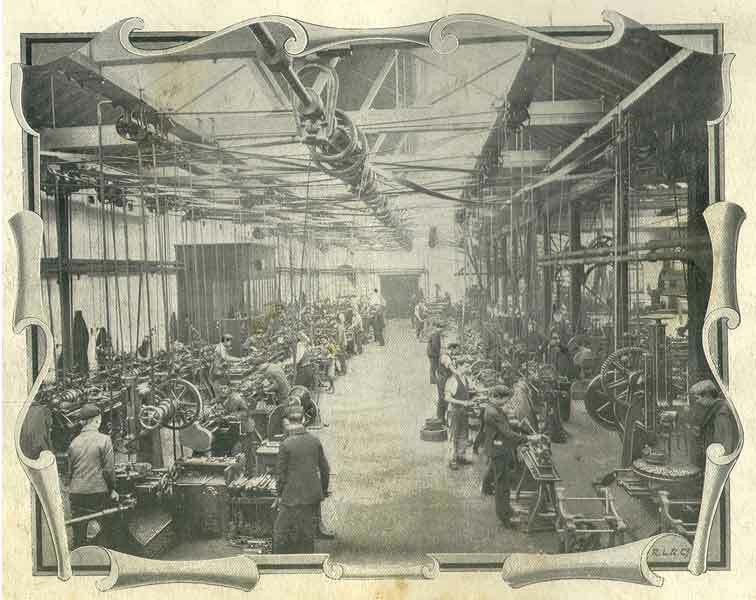 A small factory was opened in Skegness, Lincolnshire in 1954 as an additional machining shop. The 10,000 square feet factory was built in 1906 to house a laundry and remained a laundry until Rose moved in. Two shifts were worked with 70 on the day shift and nearly 30 on the night shift. The factory made parts for the factory at Gainsborough as well as for the bearings factory at Saxilby. Arthur Gilbert - a director and designer of considerable skill - Easter 1956. J. A Fitchett - a director and chief of the sales department - Easter 1957. 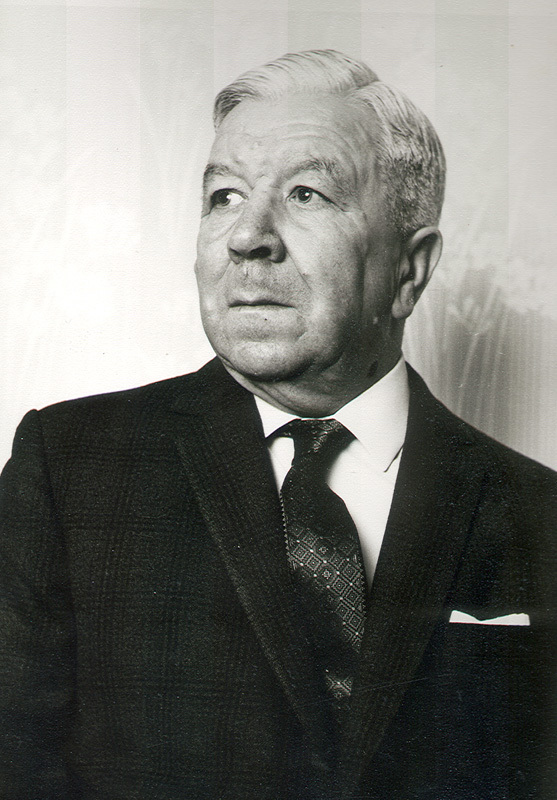 Alfred Rose - Governing director and son of the founder - Easter 1957. Wilfred G. Durdy - director in charge of continental affairs - January 1958. Sydney Curtis - director and designer in charge of the D/O - October 1958. "Alfred Rose had been on such friendly terms with his employees that they were happy to work long hours for him, held by the interest he had managed to generate in every job he gave them. Eight o'clock every morning saw him at Albion Works making a tour of all departments and thereafter he would pace up and down the high bank of the River Trent with his Works Director, T.H. Phillipson, talking over the problems of the day. He would personally inspect each machine before it went out of the factory. Everything depended upon him: every decision was made by him alone. One who knew him well said that he 'ran the business in a delightfully autocratic way, without feeling the need for a modern costing system or proper stock records.' Unfortunately as the range of products grew in number, the firm became vulnerable to competitors who specialised in a narrow field." To fill this gap, Alfred's sister - Mrs Hugh Ridley - was appointed managing director and Hugh Ridley himself became chairman. Both had been a director of long standing, Hugh Ridley in charge of The National Folding Box Company, Mrs Ridley on a part-time basis. 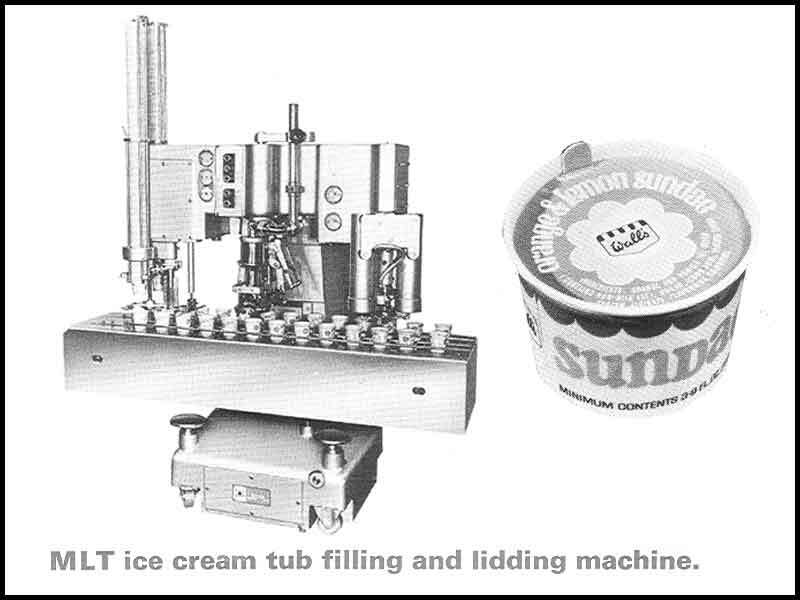 One of Hugh Ridley's most significant achievements as Chairman was the acquisition of Job Day & Sons, maker of automatic packing machines for tea and other granular products, which he completed in August 1960. The new management did get the loyal co-operation of the workforce and ensured that the financial structure of the company was very sound, with a substantial amount of liquid assets. It was clear that, from the viewpoint of a prospective bidder, the company was most attractive. Tentative enquiries began to be made and it was evident that sooner or later a bid for the shares would be made. For the good of the town generally. For the integrity of the bidder. After due consideration had been given to all enquiries it was decided that by joining the Baker Perkins Group of Companies, the greatest good for the greatest number would be achieved. 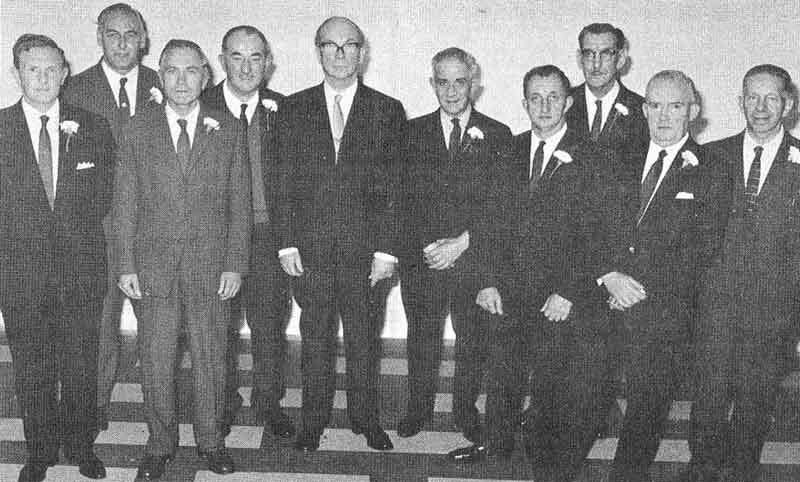 Rose Brothers became part of the Baker Perkins Group in 1961. The company had been managed almost completely by Alfred Rose himself and the Baker Perkins board decided that a managing director from the parent company must be appointed. 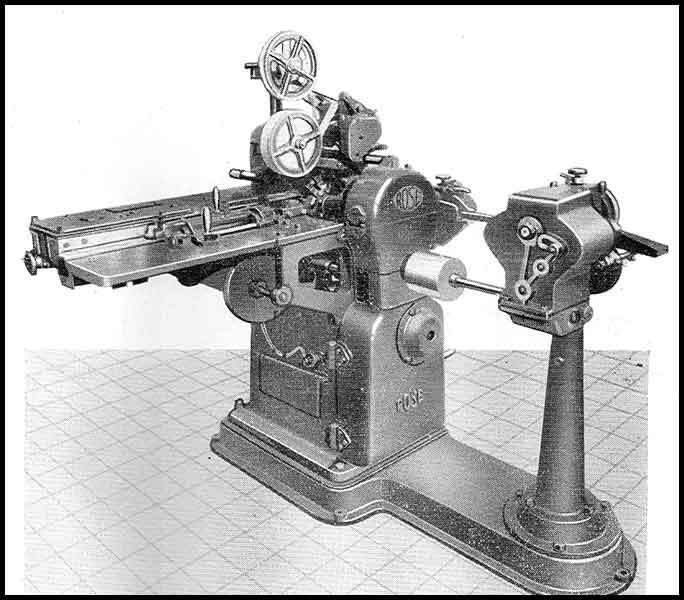 R.H. Wilkins took on the task of replacing old working methods, reducing the waste of labour and of machine tool time, all of which had been left unchecked. 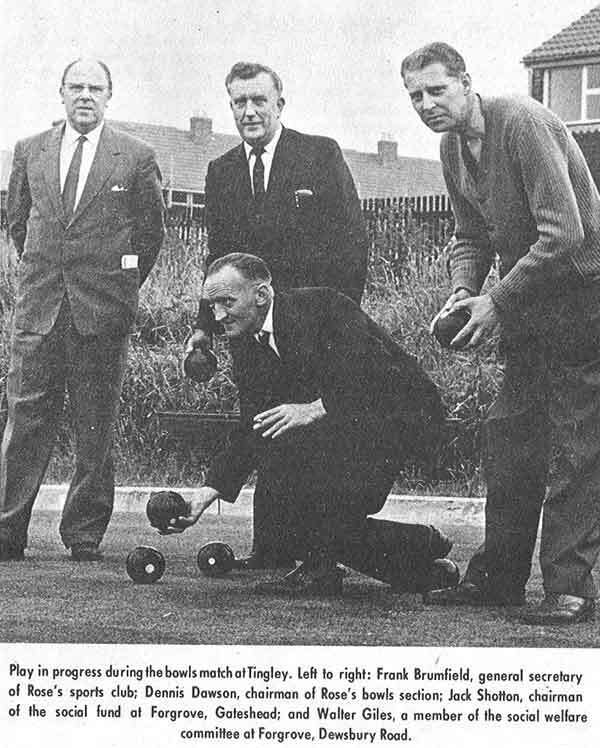 He was ably assisted by Eric Cowell, an ex-Forgrove man, who was appointed assistant managing director. Eric Cowell introduced efficient progress systems, production scheduling, improved rate-fixing and methods engineering and bonus schemes. The result was that output per productive worker of wrapping and packaging machines was more than doubled. The range of equipment produced was reduced and wage rates improved. 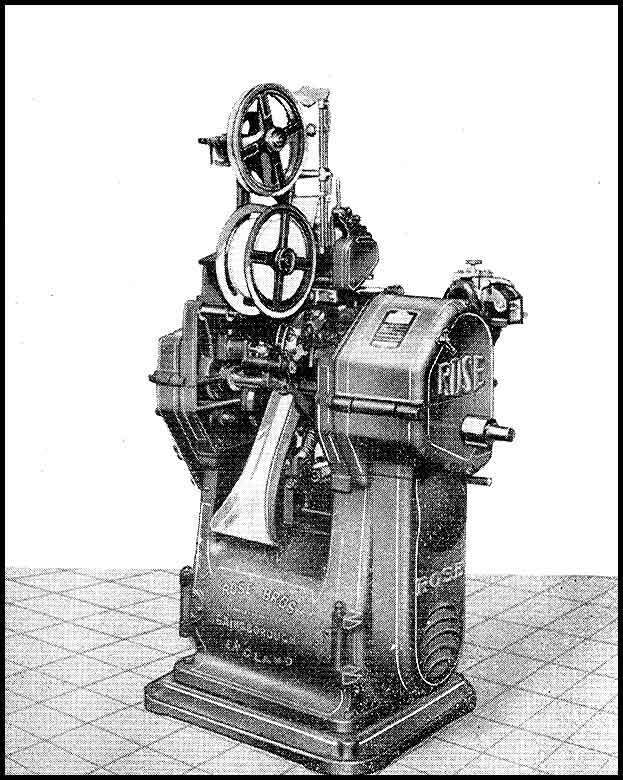 Rose Brothers was the first company in the Baker Perkins Group to have tape-controlled drilling and boring machines. Hugh Sandford Ridley, chairman of Rose Brothers, Northern manufacturing and Job Day & Sons, died in November 1964 at the age of 64. He was appointed director of Rose Brothers and manager of the national Folding Box Co. in 1921 and became chairman on the death of Alfred Rose. In 1961, he was prominently associated with the negotiations to merge with Baker Perkins. 1963: 4,500 square feet, two bay extension built to provide buffer area constructed and the Staag shop – 18,000 square feet, first erected in 1943 - re-clad to house large machine tools. 1964: 40-year old single boiler replaced by two new units. 1965: New combined 11,520 square feet foundry erected on the North Warren Road site, close to the company sports ground. This replaced the existing separate iron and brass foundries. 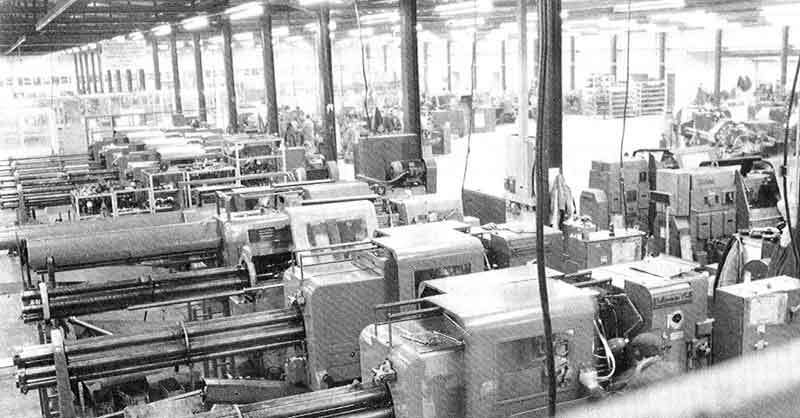 1966: New main machine shop constructed and the scattered machine tools housed under one roof. New premises found for the erecting shop and drawing office. A new ambulance room was established as was the new apprentice school in the grounds at Ropery Road. 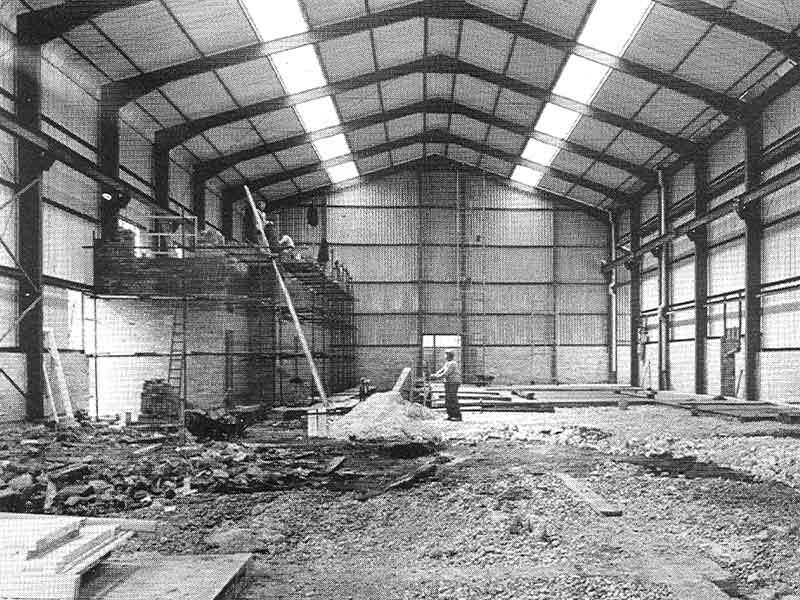 1967: The old confectionery machinery erecting shop was demolished to make space for a new 36,284 square feet light machine shop, complete with a centralised work progress and allocation system. 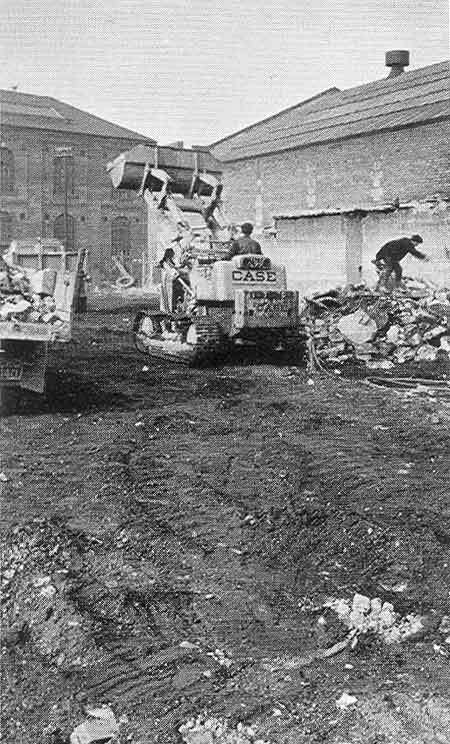 200 machine tools were moved during the two-week works holiday – these had been deliberately dispersed around the site during the War to avoid the possibility of disruption from bombing. 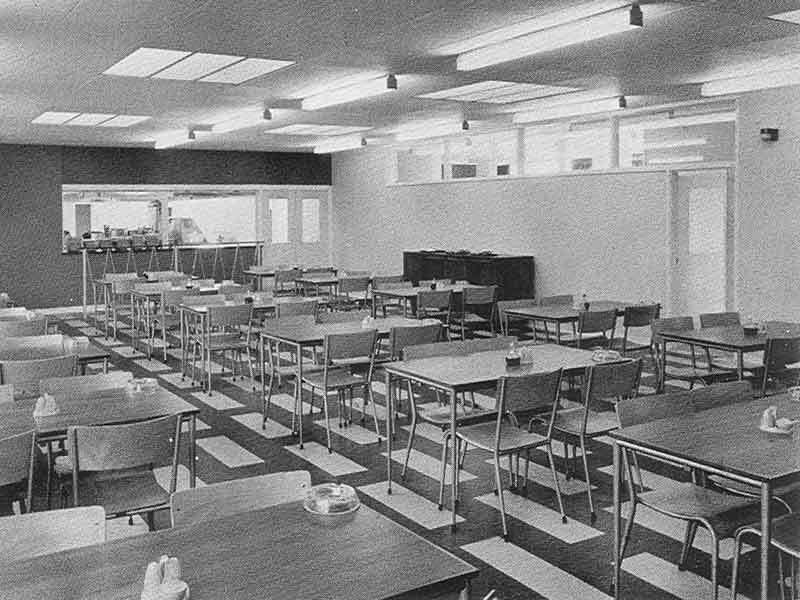 A two-storey canteen building began serving meals on the 6th February 1967, the old canteen was converted into a drawing office and an extension bay was added to the paint shops. The first half of the Trent works conversion was completed to form a self-contained erecting department. 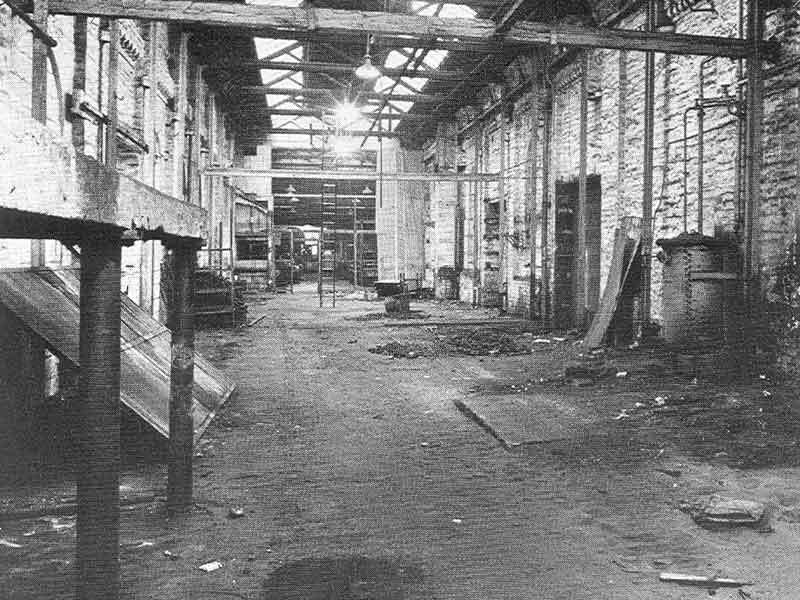 1968: Trent works was completed and the heat treatment shop enlarged. The old machine shop was converted to house the packing and despatch departments. 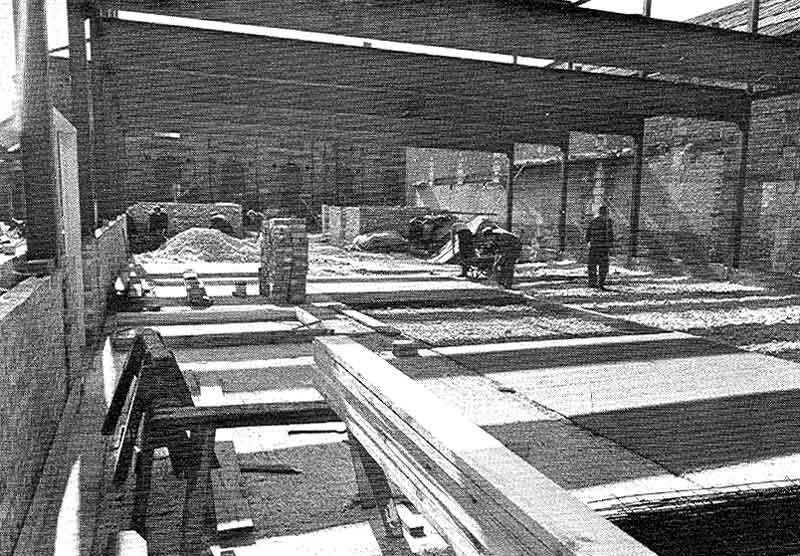 1969: A complete system of roads and drains was laid, the remaining old buildings demolished and a new personnel and reception area built. 28,000 square feet of space was also converted to house the Job Day division from Leeds. When planning the new light machine shop it was realised that , in the old machine shops that the new building replaced, skilled men were spending far too much time collecting their own drawings, materials, jigs and tools. This was sheer waste that prevented the man earning himself bonus and the company from getting the fullest use from expensive machine tools. The answer was to bring the job to the man – the final solution being based on the electric light switch. 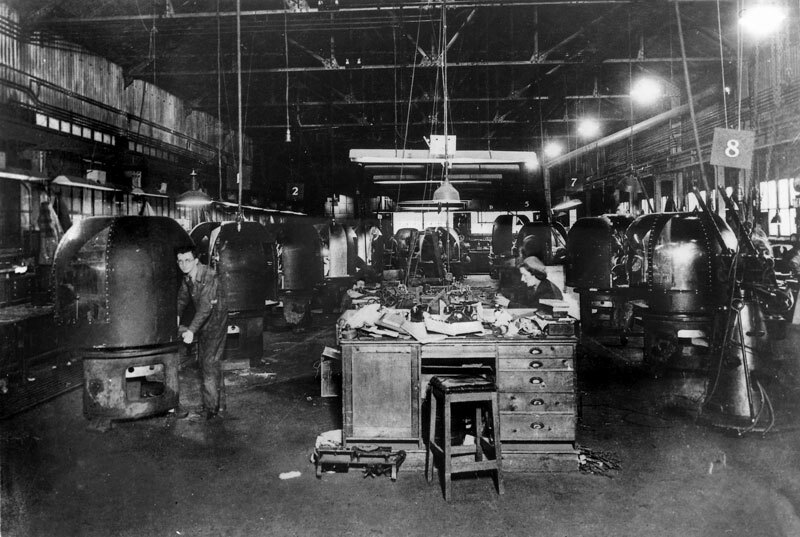 Each of the 160 milling, boring and turning machines in the shop was equipped with a light switch with a corresponding light in the central control panel that was monitored by two ladies. On completion of a job, the machine operator switched on his light and the lady control panel operator automatically clocked him off that job and on to the next – that had already been delivered to his machine. 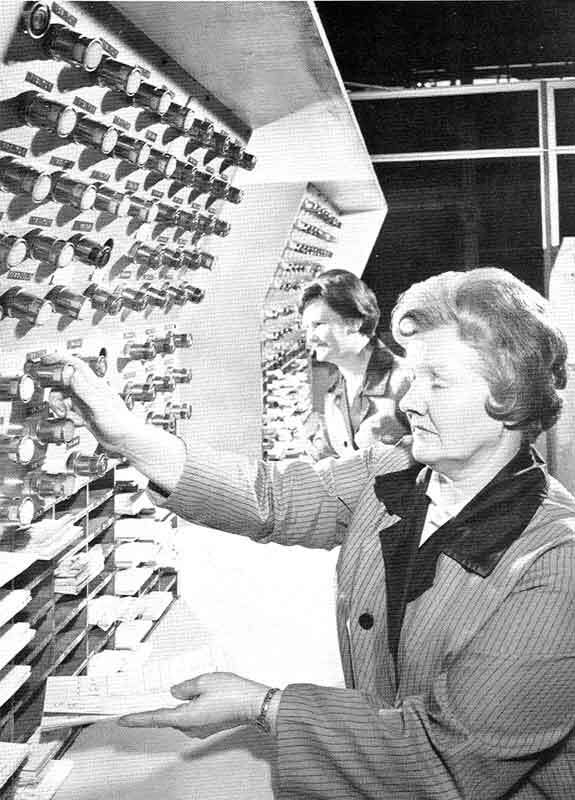 Two allocators, sitting near to the control panel, took job cards from the progress departments and allocated them to the correct machines. 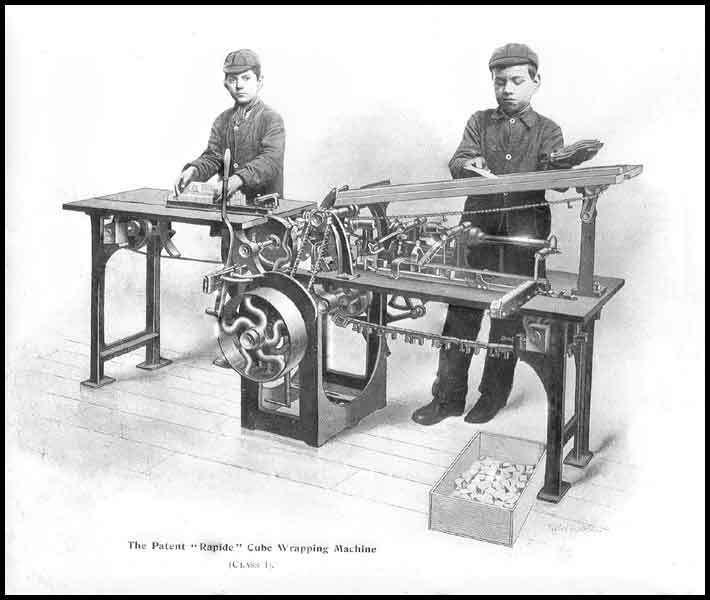 Skilled machinists were kept busy cutting metal (and earning bonus) and machine tools earned their keep. This simple system delivered a 3.33% increase in production – the equivalent of five extra machinists – without making the machine operators work any faster. 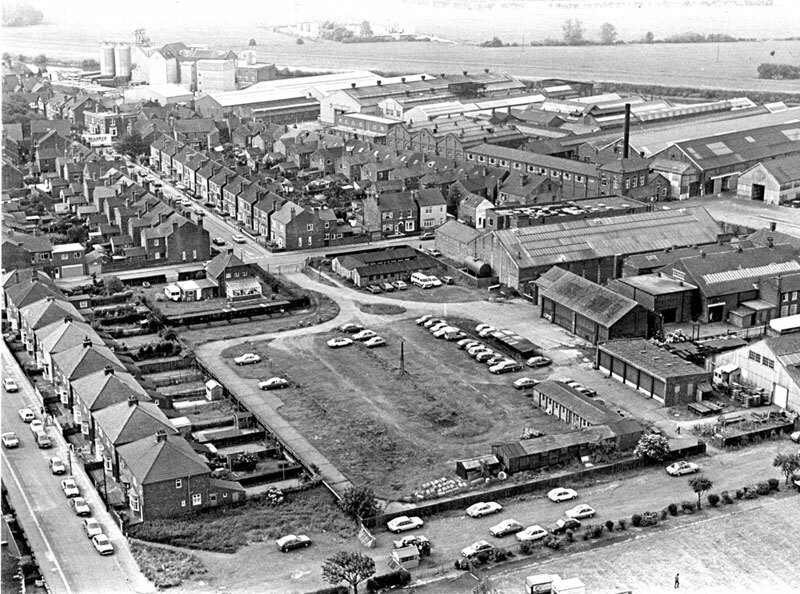 This aerial shot of the Gainsborough site was provided by Andrew Birkitt and It is thought to have been taken in the 1960s. Starting at the top of the picture, the big building with the silos is the old Townrows Mill site, now to be replaced by a Supermarket. The first part of the Rose site is marked by the long buildings with the white roof in the top centre of the picture. This was the new light machine shop and steel stores. The next building across - with the white front and the ventilation stacks on the roof - was the Staag Shop or heavy machining. This is the building that had the big "Baker Perkins - Rose Forgrove" sign on the front. The next, smaller building with the what looks like a water trough on the top, housed the old Northern Manufacturing Company and later became the gear cutting shop. The first building along the front with the flat roof was the old Nursing Station and offices and the long building behind that with the white roof was the first of the fitting shops. The older buildings along the front - the three with the gabled fronts - are early parts of the factory. There were offices here with, it is thought, the boardroom etc, upstairs, The long-fronted building with all the windows was the old drawing office and the buildings behind were known as Trent Works and housed all the Fitting Shops. These buildings also housed the Paint Shop and Hardening Shop. The big area in the front centre of the photograph was the company car park and the buildings to the right of this are the Aeromarine Division Buildings. Also in this area was is Drill Hall that housed the Exhibition put on by Rose Brothers just after the War. When Rose Forgrove was formed on 1st January 1967, Rose Brothers became the Rose division, specialising in not only wrapping and packaging machinery but also in spherical bearings and ball joints. This latter activity took place in the factory bought during WW2 in Saxilby, a village near to Gainsborough. 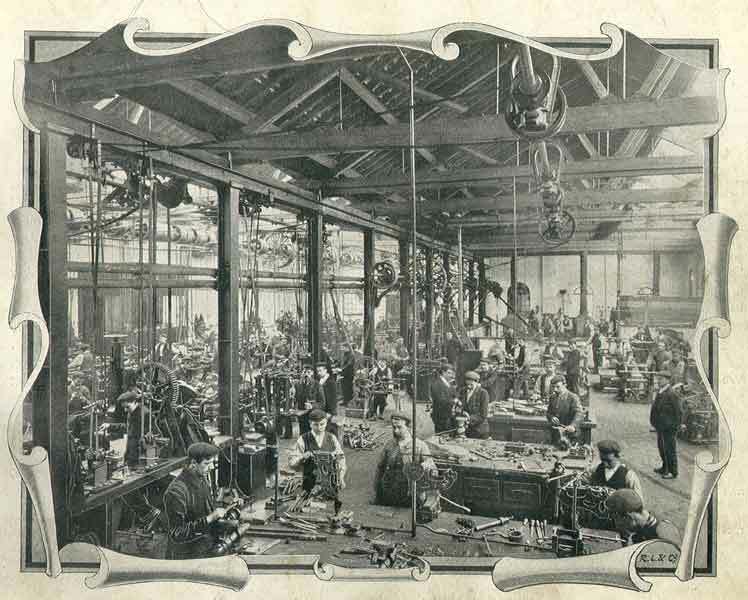 The manufacture of bearings and ball joints took the company into hundreds of new market areas – aviation, transport, and motor racing to name but a few (See also History of Rose Bearings, Saxilby). 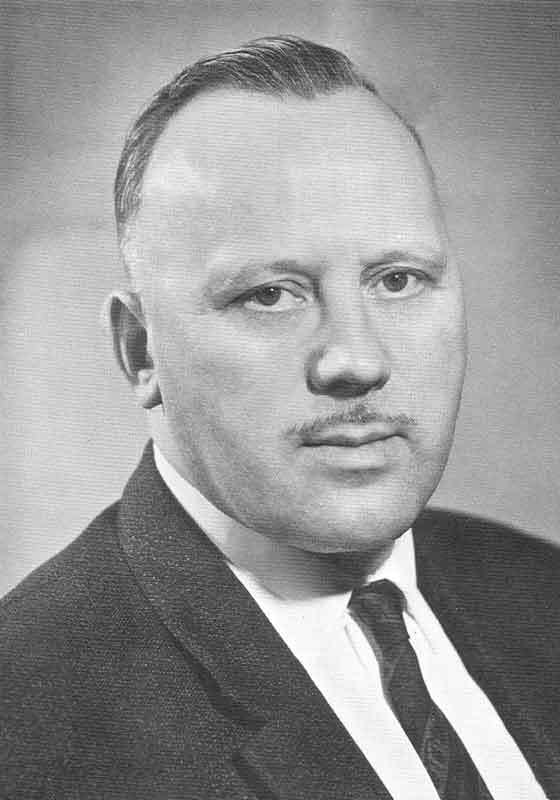 Raymond Bailey, Rose Brothers’ technical director, retired in 1967. He began work in 1916 when the founder of the company, William Rose, was governing director and his working life was shared between the drawing office and fitting shops. Raymond Bailey became technical director just before Baker Perkins bought the company in 1961 and he and John Edis, Forgrove’s technical director were given the daunting task of rationalizing the product lines so that the old enemies no longer competed. 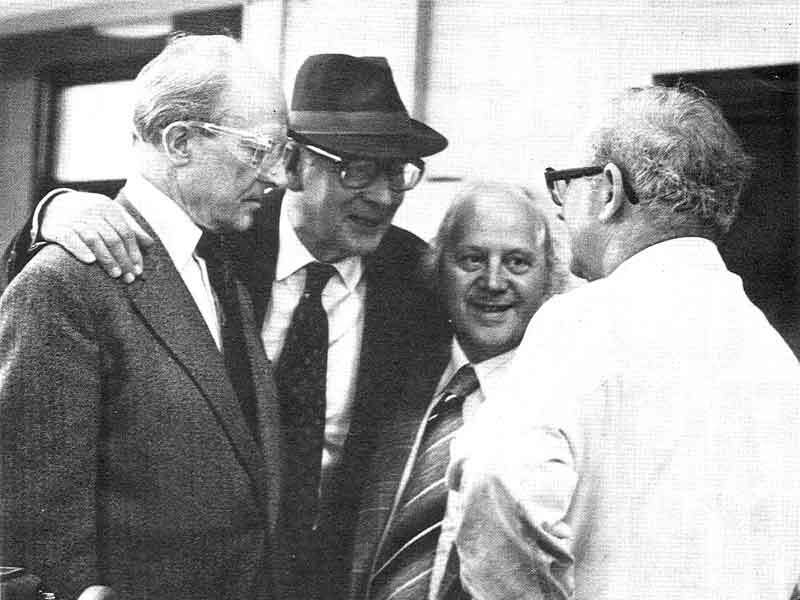 1967 saw the first anniversary of the setting up of the Gainsborough works advisory committee. Composed of an equal number of representatives from supervisors and men, its purpose was to facilitate management to consult and seek advice of employees and to promote understanding of the company’s policies and programmes. Product Group 1 – Confectionery. Product Group 4 – Dairy and Ice cream. 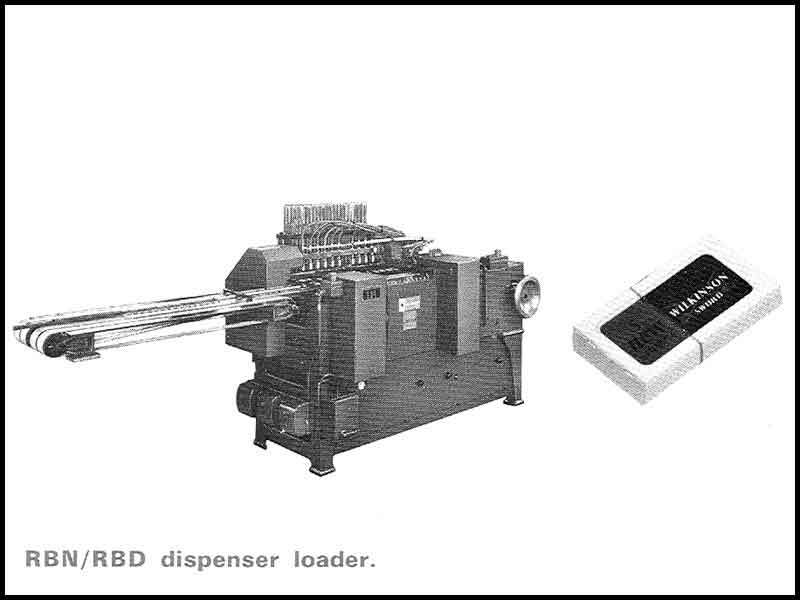 Product Group 5 – Razor blade machinery. 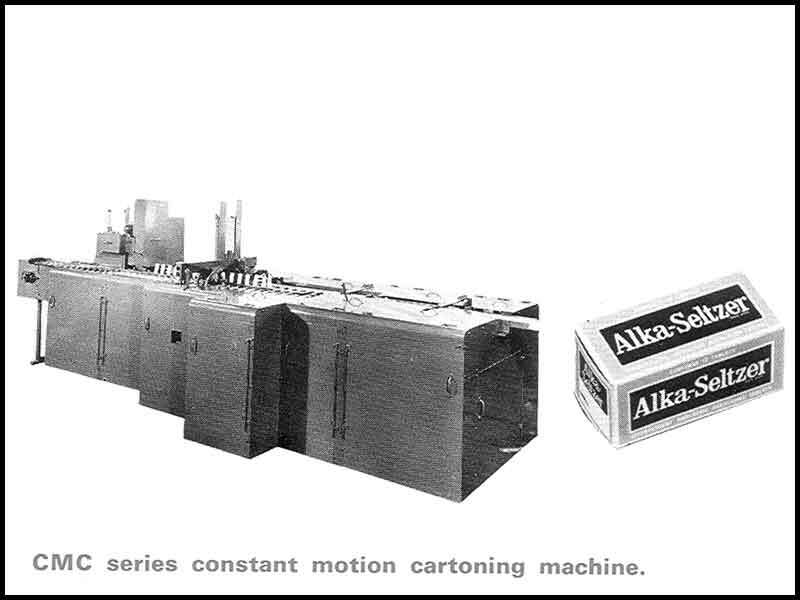 Product Group 7 – Cartoning. Product Group 8 – Tea and granular products. Augustus Muir argues that it was the fact that - "The firm was looked upon as being extremely versatile and flexible - important characteristics in work that requires the ability to make the many design-modifications that are so often requested while the task is in hand" - that forged Rose’s relationship with the armed forces that had started in 1936 when they were among a number of companies selected to take on work for the Admiralty continued after WW2, but the level of such work steadily declined until the late 1950s when in 1958, the company became involved, together with its subsidiary, the Northern Manufacturing Co. Ltd., in working with Short Brothers & Harland, Belfast on much of the design development of the launcher and control system of the “Seacat” surface to air missile system - Rose Brothers later manufacturing the launcher and control console. The first production unit went into service in 1960, finally being accepted in 1962, and subsequently over 250 examples of “Seacat” and its military variant “Tigercat” were built for use by 17 countries. “Seacat” was by any measure a success story. It was the first guided missile to be fired by operational ships of the Royal Navy; it was the first British missile to be fired by a foreign navy; and it entered service faster than any other British missile – acceptance trials being completed within five years of the first development contract. In 1970, the company started work with the British Manufacture and Research Co Ltd on drawings for its twin 30mm gun mounting, subsequently building around 150 units. Other work included surface torpedo tubes for the MOD and aircraft sub-assemblies for British Aerospace. 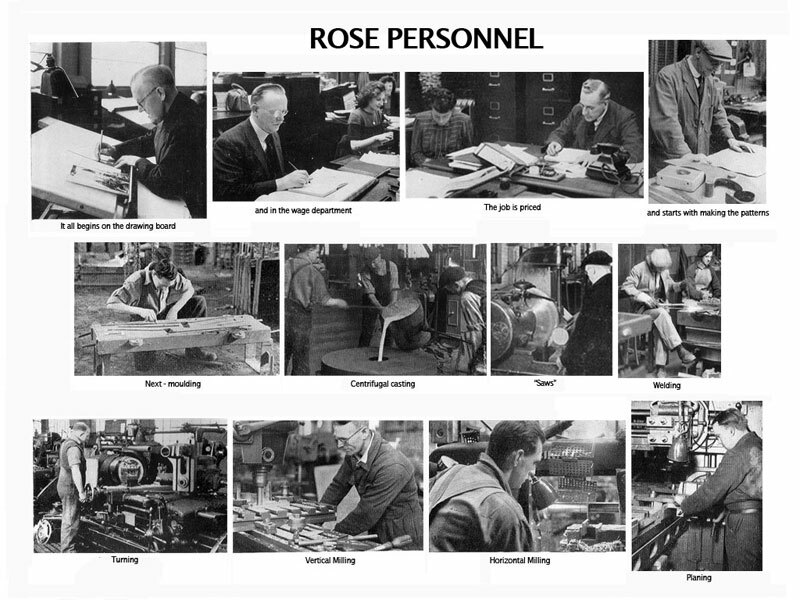 In 1946, Rose created a new drawing office for Admiralty work and this developed into what came to be known as the “Aerospace Division”, It utilised the same manufacturing resources as Roses’ packaging machinery business, with the slight difference that it had its own technical staff and entirely separate assembly and testing shop for sensitive security projects. 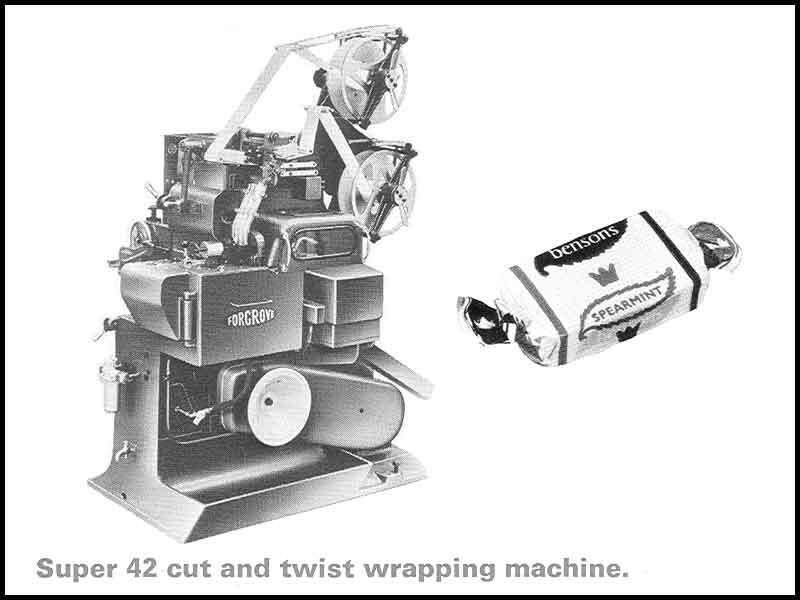 In 1973, Rose Forgrove received The Design Council Award for the R75 FWT confectionery wrapping machine. This was designed at Gainsborough by a team led by Reg Johnson. Reg had been with the company for 38 years and in the following year he was awarded the MBE – the second Gainsborough man to receive the award, Bill Collier having that honour in 1961 for design work carried out for the Ministry of Defence. 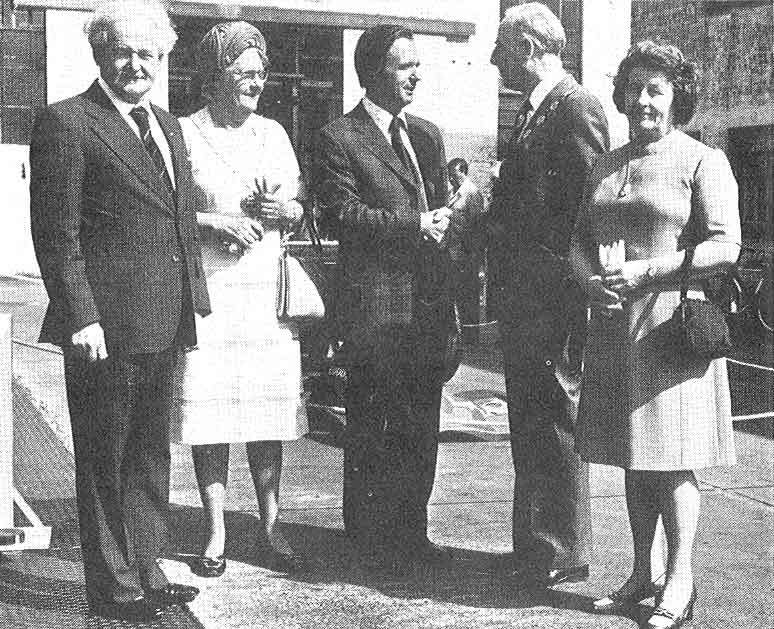 The Gainsborough factory opened its doors to more than 3,500 people on 17th July 1976. It was a popular event with current employees and their families, former and retired employees and townspeople taking the opportunity to see wrapping machines in action and machine tools being operated. The Gainsborough factory had always been susceptible to flooding, the previous occasion, and many said the worst, being in 1947 when it was quite possible to row a small boat through the works. Despite it being only a few months since Gainsborough, along with the rest of the country, was suffering from drought, the River Trent again burst its banks on Sunday 27the February 1977. The works fire brigade worked from Sunday morning until the following Wednesday to pump water back into the river, preventing any damage to the factory. For those travelling to work from nearby villages found that a three mile journey was turned into a 70 mile detour. A new 28,000 square feet factory was built at Skegness in 1977 to replace the Church Road Rose Bearings factory and also the Victoria Road works that carried out machining work for the packaging side of the business. Costing £450,000 to build, the new factory contained an apprentice school, the first of its type in Skegness. The foundry at Gainsborough, which also supplied the Leeds and Gateshead factories, was extended in February 1978 to become one of the largest in the area. A £130,000 machining centre was also installed at Gainsborough, part of a £300,000 investment in numerically-controlled machine tools on this site. The Skegness factory was extended by one and a half times its original size (from 28,000 to 70,000 square feet) in 1979. The workforce was expected to increase from 156 to 250. An integral part of Rose Forgrove's five-year expansion plan, total investment at Skegness was over £4 million. During the recession of the early eighties, Rose Forgrove order taking generally continued at too low a level and hoped for defence contracts did not materialise. Skegness and Gainsborough had to take their share of the inevitable short time working followed by a 12% reduction in manpower in 1983. Mention was made earlier of the original Rose car that was converted into a fire engine for use on the Gainsborough site. An old "Green Goddess", purchased for £500, was later used. 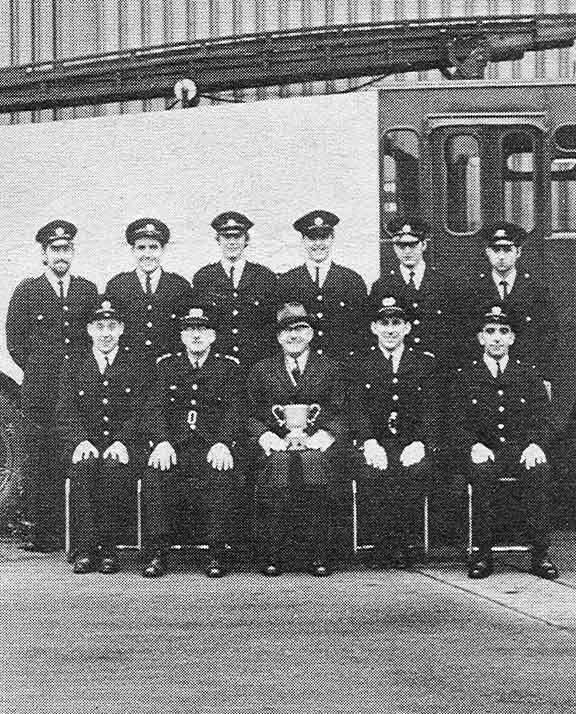 In 1985, the Lincolnshire County Fire Service presented the Gainsborough Works Volunteer Fire Brigade with a new engine by the on permanent loan. 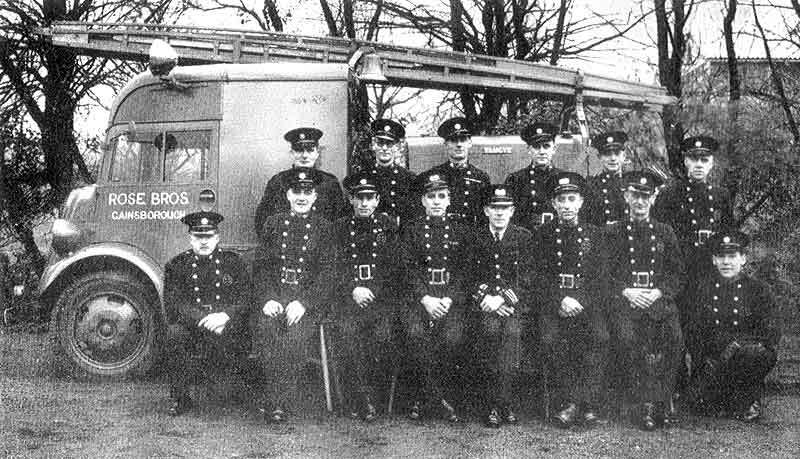 As with the Westwood Works Brigade, as well as acting as a first line fire fighting force on the works site, the part-time brigade were always ready to help out the County force when asked. 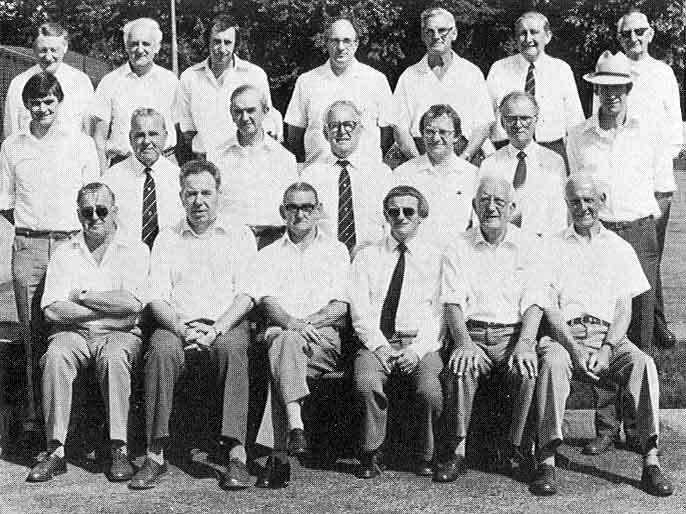 In 1985, Rose Forgrove decided to withdraw from defence work at the Gainsborough factory and out of the total workforce of 390, 45 were made redundant. The company also sold some surplus land and buildings, including its sports field and clubhouse – totalling some 16.5 acres. The manufacturing facilities at Gainsborough were re-organised as part of a plan to strengthen the company as the UK's largest manufacturer of packaging machines. The company retained the capability to produce the Sea Wolf missile launcher against the possibility of new orders being placed in the near future. Low level of business in early 1986 forced Rose to announce 90 redundancies. The demand for castings also continued to decline and the foundry at Gainsborough was closed with the loss of 30 jobs. The workforce then stood at 310. 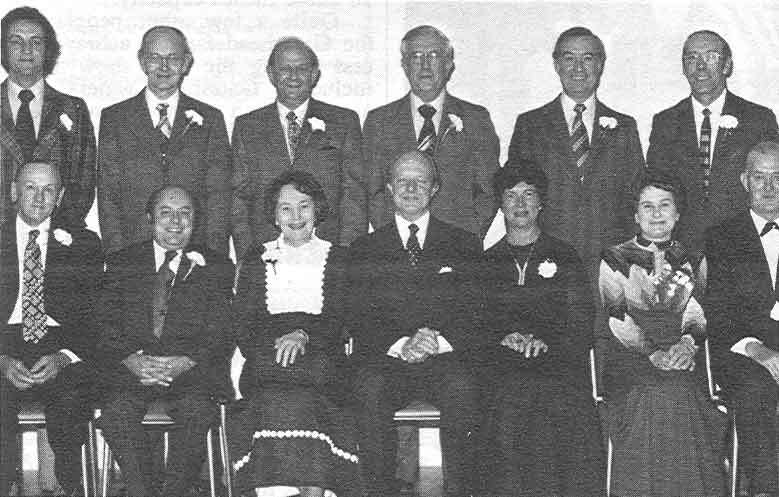 In August 1986 restructuring aimed at creating individual companies with responsibility to serve customers on an industry basis, the Rose division was split off from Rose Forgrove Ltd, and Baker Perkins BCS Ltd assumed responsibility for the supply of packaging equipment to the Biscuit, Candy, Snack and Beverage industries based at Gainsborough. The design and production of biscuit and snack packaging equipment, and some relevant personnel, were transferred from Leeds to Gainsborough. The Staag Gallery in the Gainsborough works was cleared in 1966 to form an apprentice school, complete with fitting and machine shop sections and classroom facilities. The training of apprentices at Gainsborough was taken as seriously as it was in the rest of the group. The need was also seen for the facilities to be used for the re-training of people other than apprentices as technical changes impacted on the business. 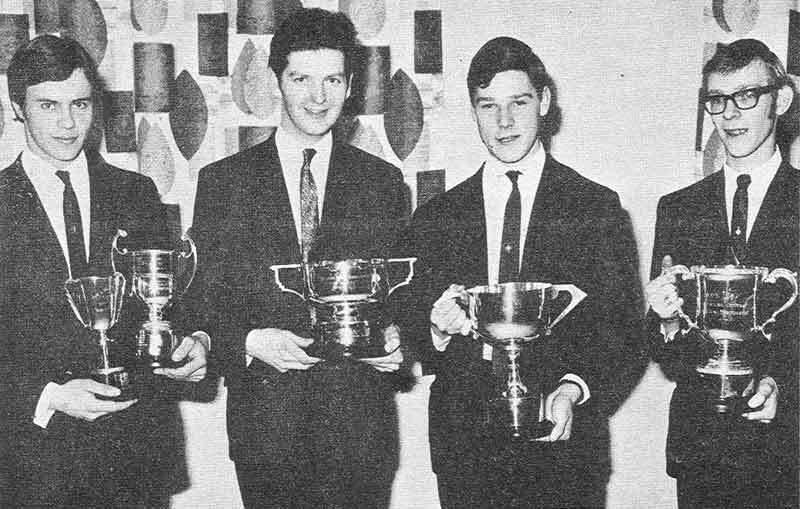 Prize giving ceremonies for the Rose apprentices were often held at Leeds but, in 1969, prizes were awarded at Gainsborough by Sir Edmund Bacon. 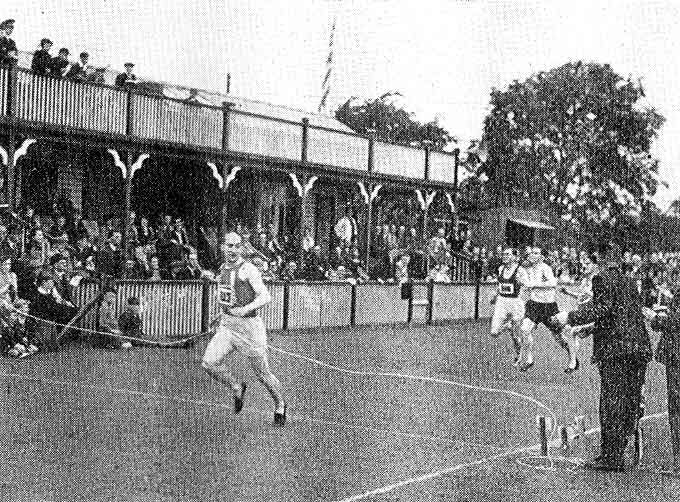 The Gainsborough factory had a thriving Sports Club (early photographs can be seen above) and many sports were available with matches between individual departments and against other companies in the Baker Perkins group. 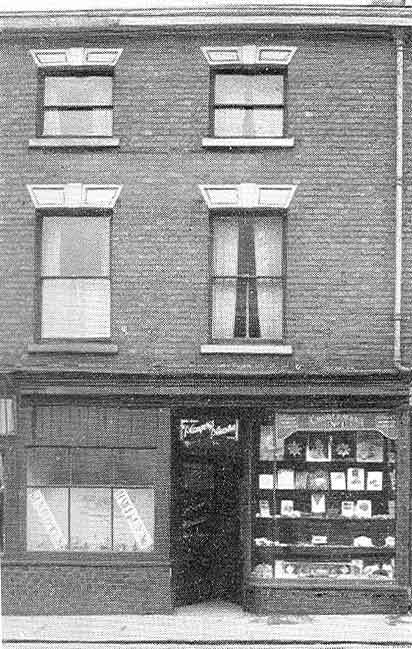 Rose had a thriving Retired Members Club with 120 members who met in leased premises at the rear of a shop in the centre of Gainsborough. The accommodation consisted of a large room on two level and a kitchen. One part of the large room was used for playing billiards and darts, the other served as a lounge. As in the rest of the Baker Perkins group, Rose had its fair share of long-serving employees. This was recognised in yearly long service award ceremonies. In October 1987 the closure of the Gainsborough factory was announced and the business was transferred to Rose Forgrove Ltd at Leeds. 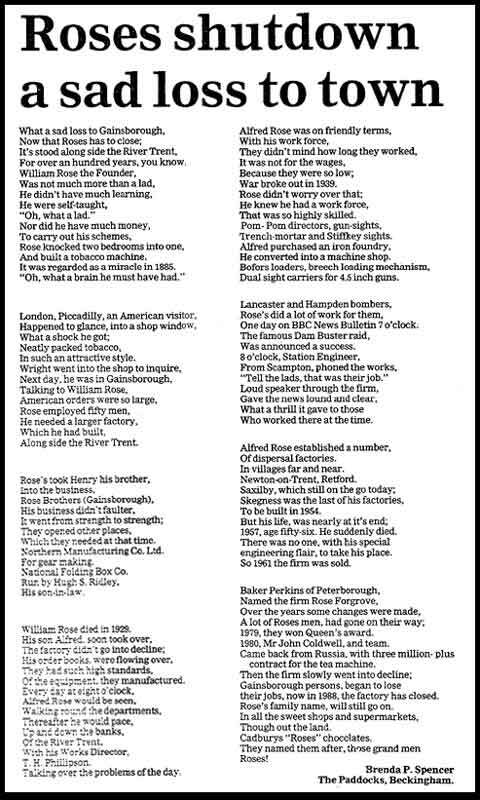 This poem appeared in a local paper at the time of the closure of the Gainsborough factory. In 1990, three years after the merger between Baker Perkins and APV, the Rose division was sold to AM Packaging and became AMP-Rose, Gainsborough. A.M.P Rose is still going strong and continuing the famous 'Rose' name, supplying the chocolate and confectionery industries with new and rebuilt processing and packaging machines, and presently employing over 100 people at its site in Gainsborough. Further details can be found by visiting www.amprose.com. NOTE - A new, comprehensive history of the development of Rose Brothers has been published by the Gainsborough Heritage Association. for details click here.